NetzlofDesign and Model works is releasing Generic School Bus Decals. 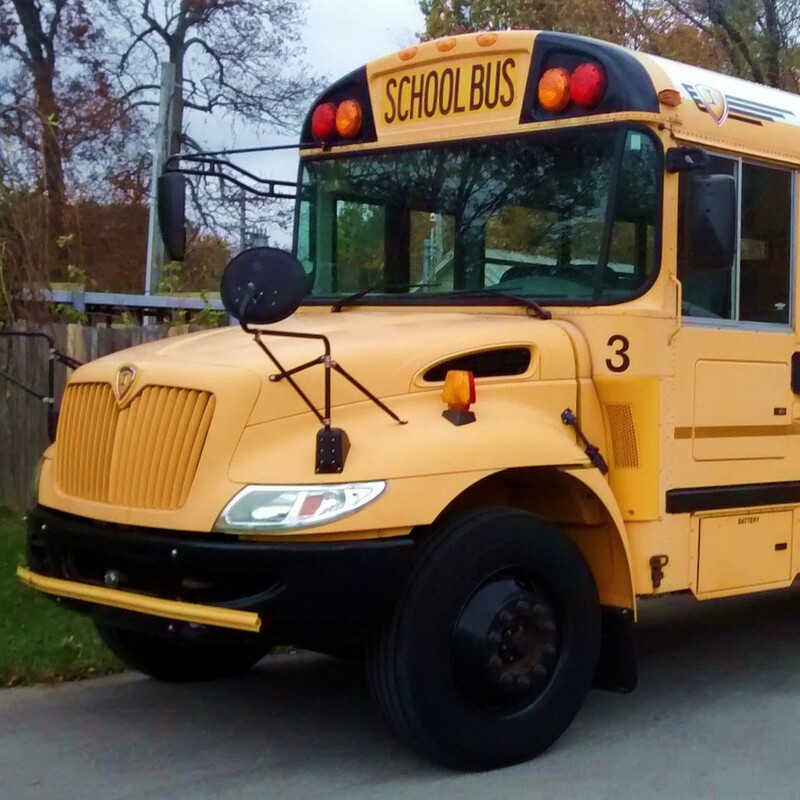 Set includes commonly used location and description words to letter a “School Bus” type bus, as well as a numbering bank and warning labels. 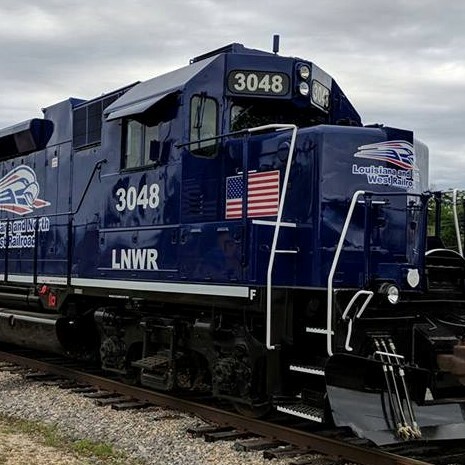 NetzlofDesign and Model works is releasing Western New York and Pennsylvania Locomotive Patch Out Decals. 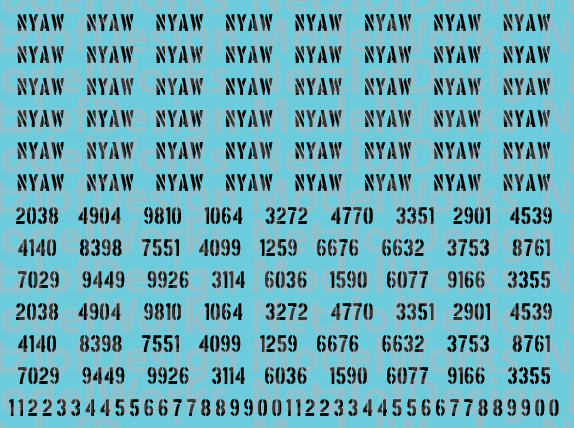 Set contains Letters and Numbers as used by the WNY&P to patch out locomotives. NetzlofDesign and Model works is releasing Generic Fire Department Name Decals. Set includes Various area/equipment names in a simulated gold lettering style. Set contains the same names as our Generic Police Vehicle Set as well as several incident command related words. Combine with our Generic Fire Truck Vehicle Decals to complete your apparatus. 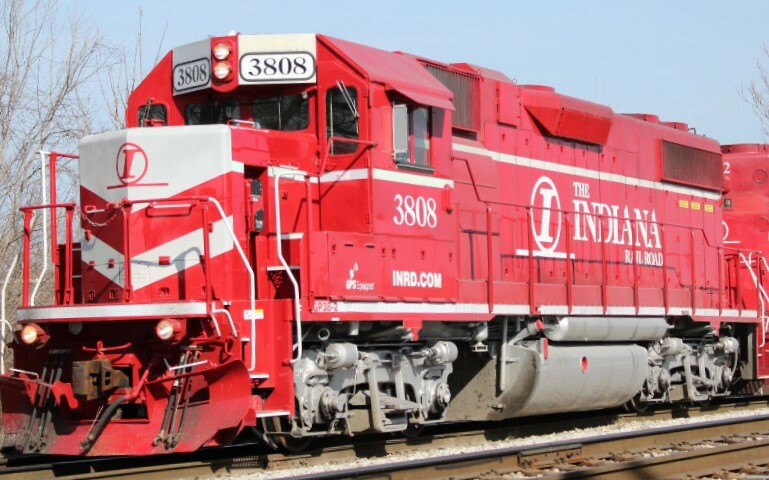 NetzlofDesign and Model works is releasing Indiana Railroad EMD Locomotive Decals (INRD). 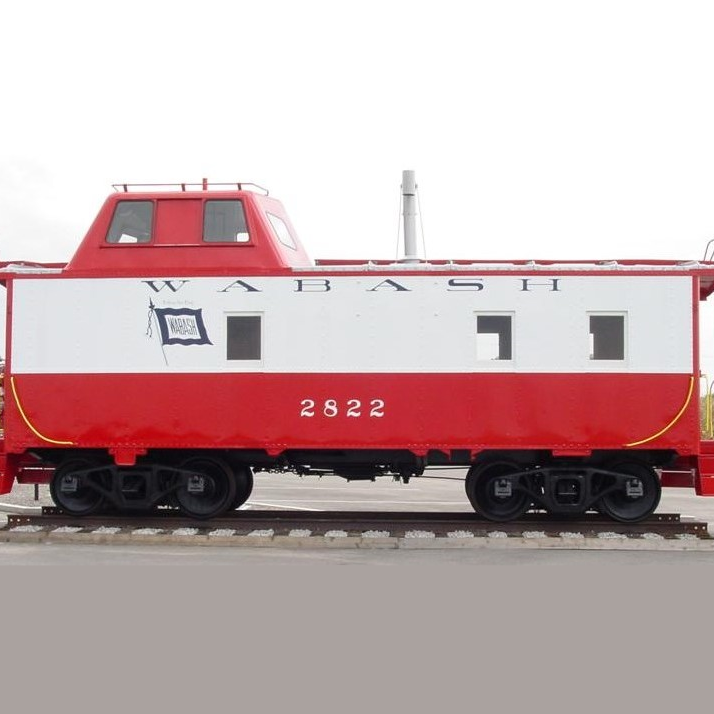 Set includes Logos, Lettering, and Stripes to model one Indiana Railroad EMD hood unit in the newest iteration of their red and white paint scheme. 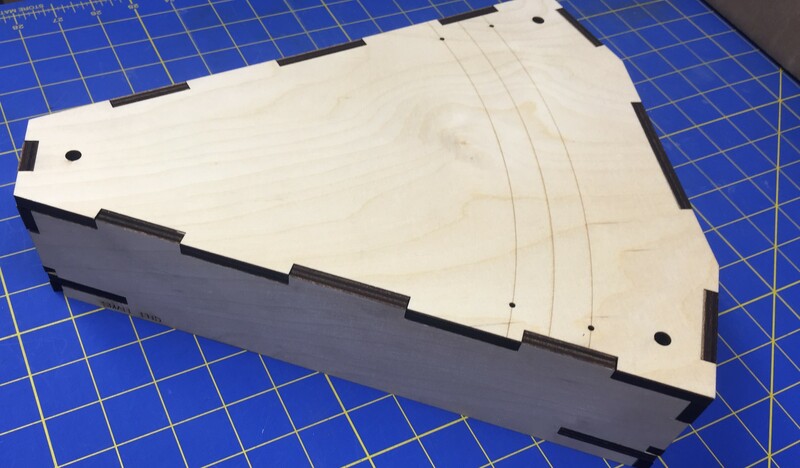 The 45 Degree modules are intended for making S curves and allow variation in layout design. 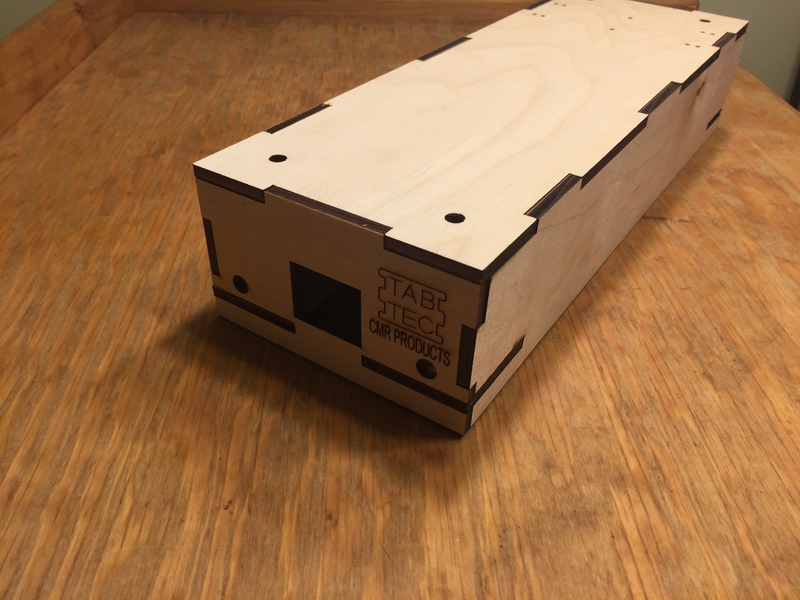 Tab Tec Modules are designed to the current T-TRAK Standard sizes. 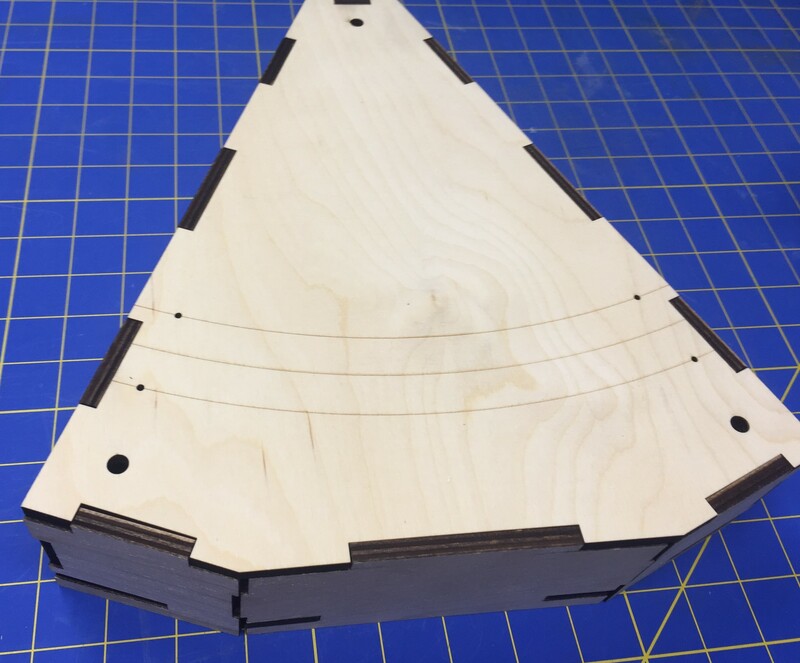 Created using Laser Cut plywood, the Tab Tec modules are precision fit, so glue and masking tape are the only tools needed for assembly. 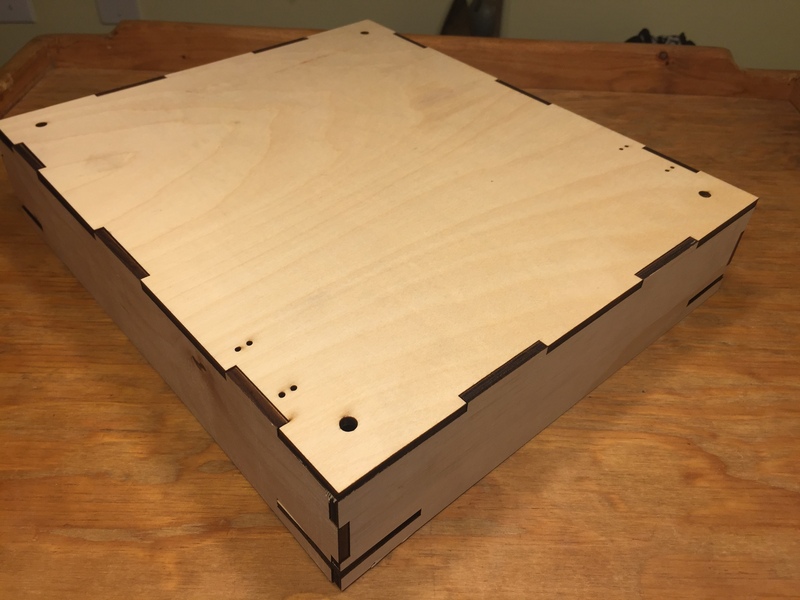 Custom Modules or drill holes can be made as well. CMR Products is releasing Pre-Wired Pico LED 5 Packs. 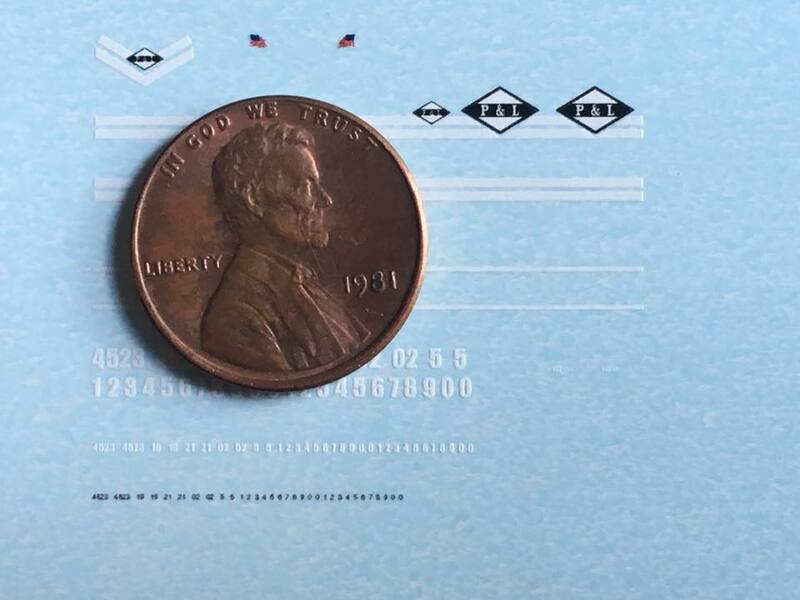 Pico LEDs are 1mm x 0.5mm in size. These super bright tiny LEDs are great for lighting just about anything. 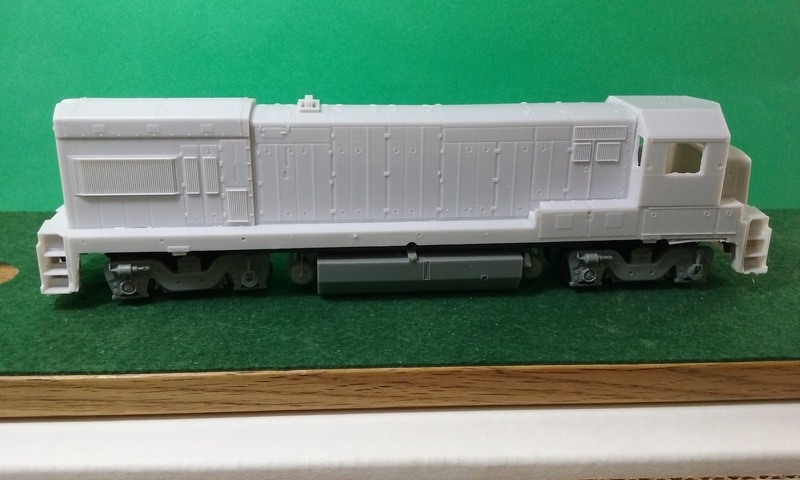 We have used them as ditch lights and marker lights on N Scale engines, Police lights on vehicles and much more. Each pack contains 5 pre-wired LEDs and are available in 7 Colors (Amber/Orange, Blue, Bright White, Green, Red, Yellow and Yellow Glow). These LEDs and much more can be purchased directly through the CMR Products Web site store. 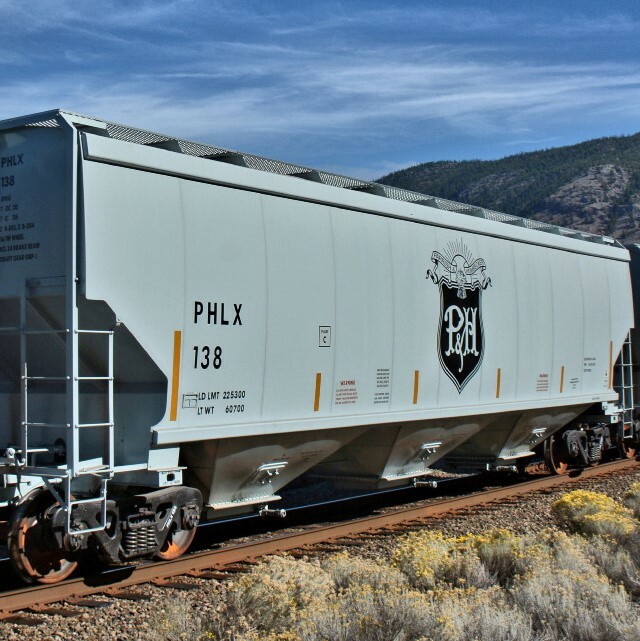 NetzlofDesign and Model works is releasing Parrish & Heimbecker Covered Hopper Decals (PHLX). 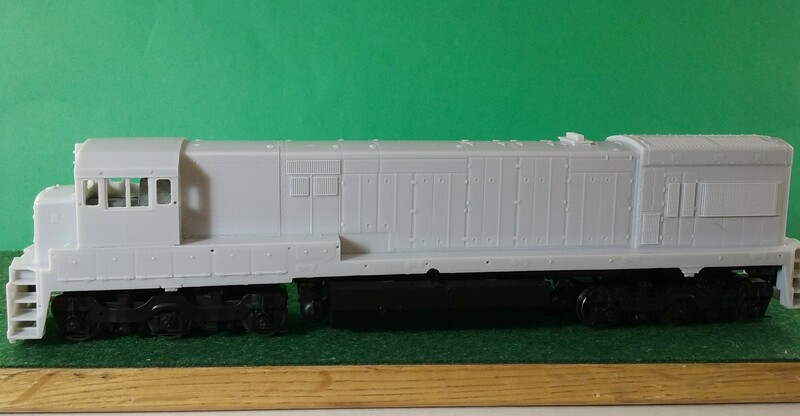 Set includes Logos, Lettering, and Data to model one Parrish & Heimbecker (PHLX) covered hopper car. 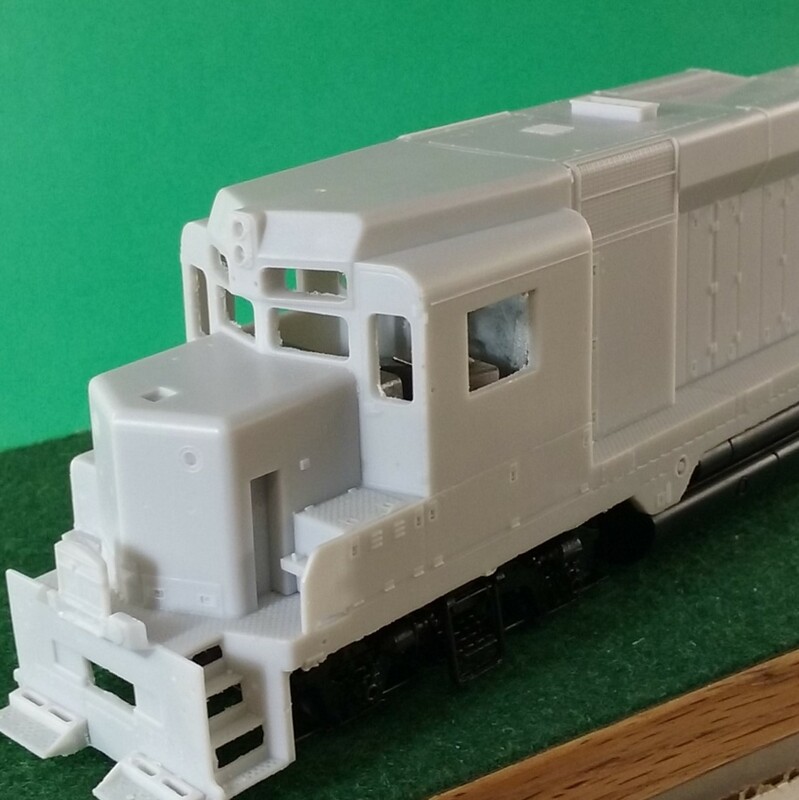 Pacific Northwest Resin is releasing HO Scale Norfolk Southern RP E4D slug w/ Dynamic Brakes Locomotive Shell. 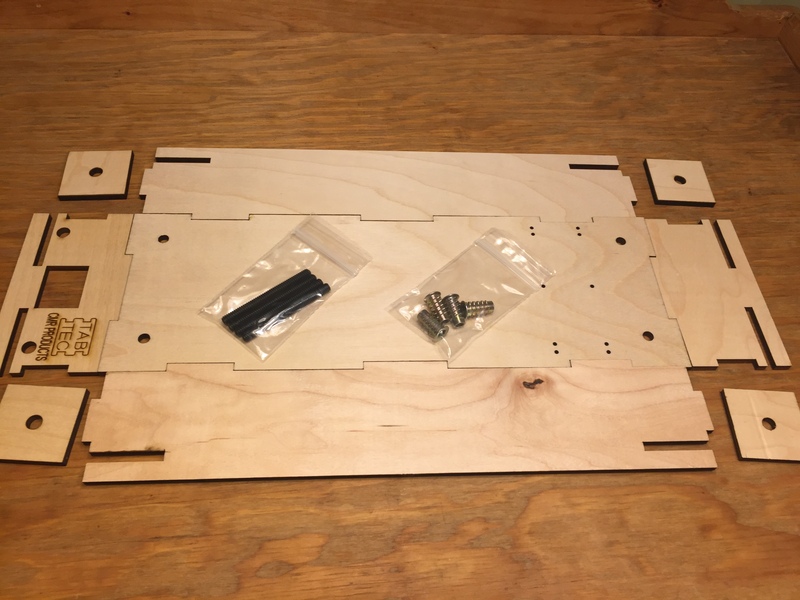 This shell is designed for the Proto 2000 GP18 or GP7/9 chassis frame. Some adjustments will have to be made to the weight to fit under the shell. 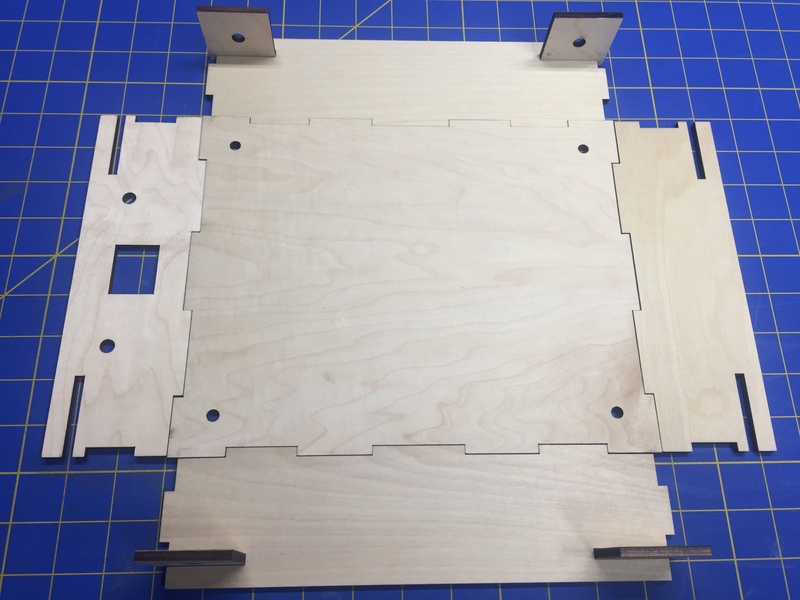 Created using Laser Cut plywood, the Tab Tec modules are precision fit, so glue and masking tape are the only tools needed for assembly. 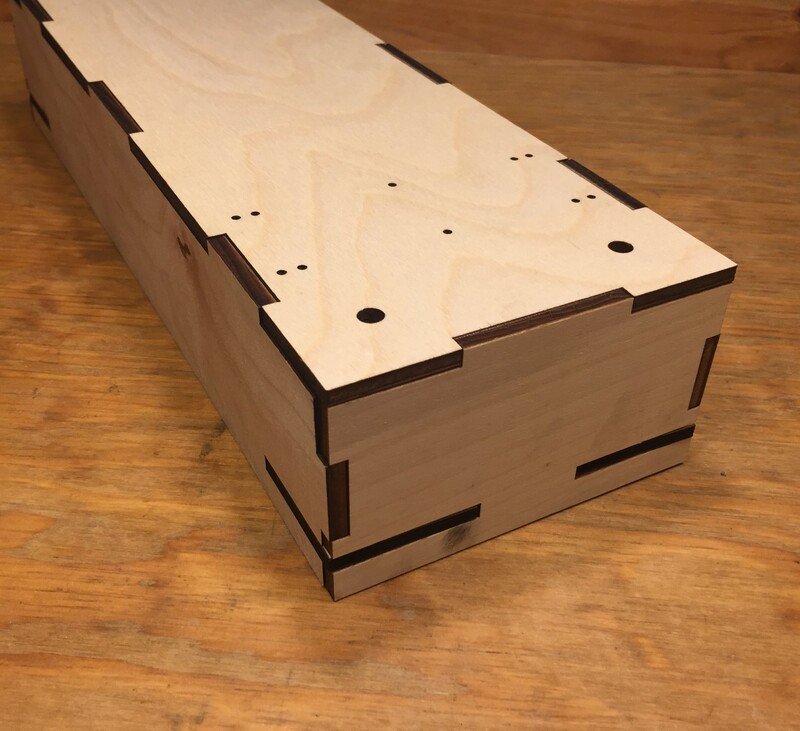 Custom Modules or drill holes can be made as well. 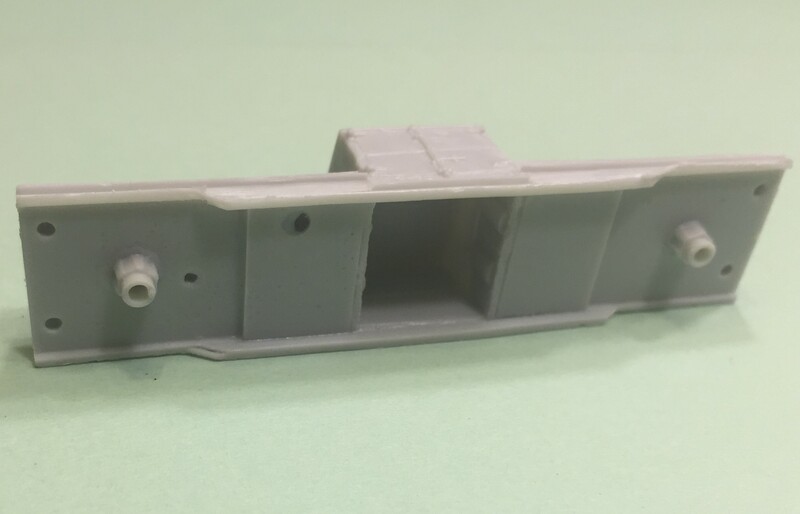 To provide our customers with all their T-TRAK needs, CMR Products has sourced a domestic supplier for Kato Compatible plugs. These plugs are the standard plugs used for T-TRAK and Kato Unitrak. 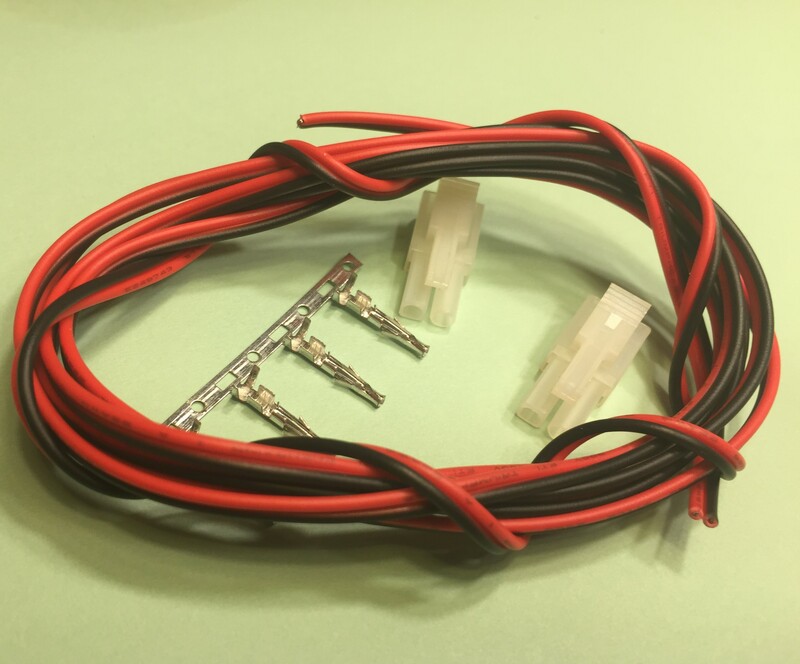 Included in our kits is 2 male plugs, pins and 6 feet of wire. Additional wire and plugs available on the web site. 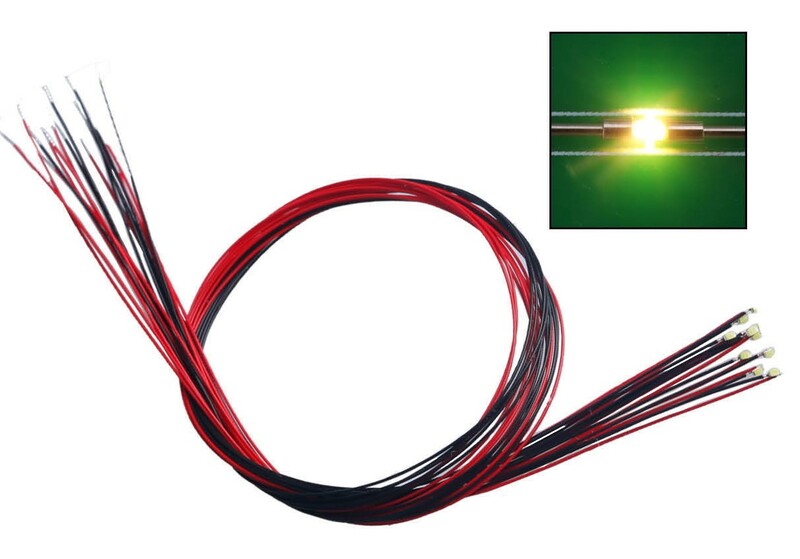 A link to our YouTube video on how to make your own drop wires is included below. 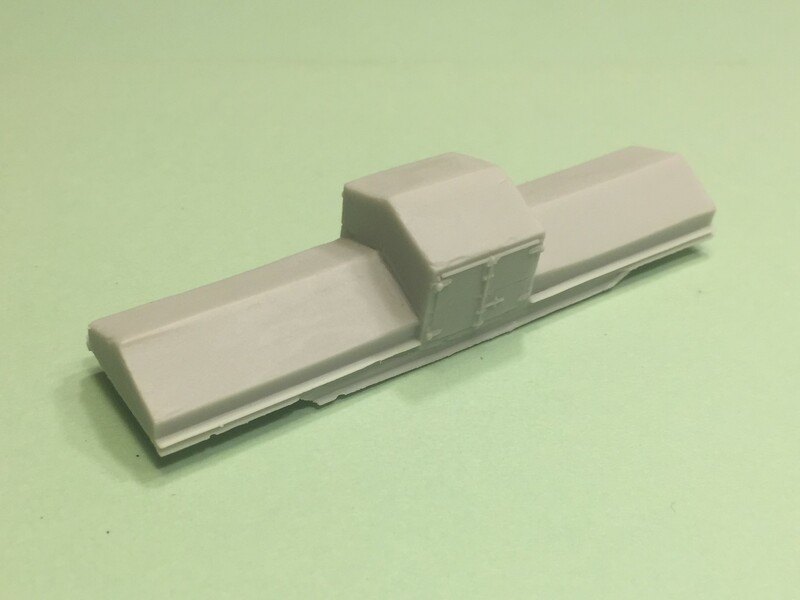 NetzlofDesign and Model works is releasing Erie Western Covered Hopper Decals (ERES). 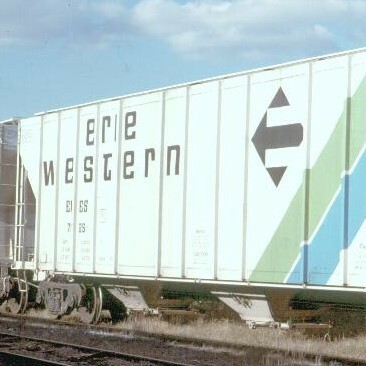 Set includes Lettering, Logos, Numbers, and Stripes to model one Erie Western Covered Hopper. 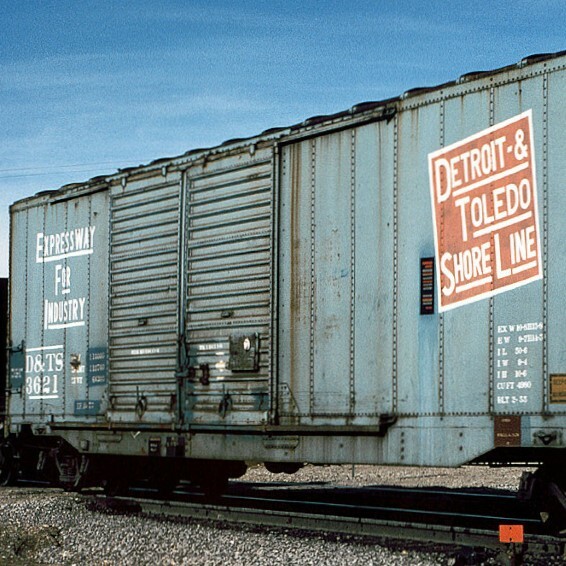 NetzlofDesign and Model works is releasing Detroit, Toledo and Shore Line 50′ Box Car Decals. 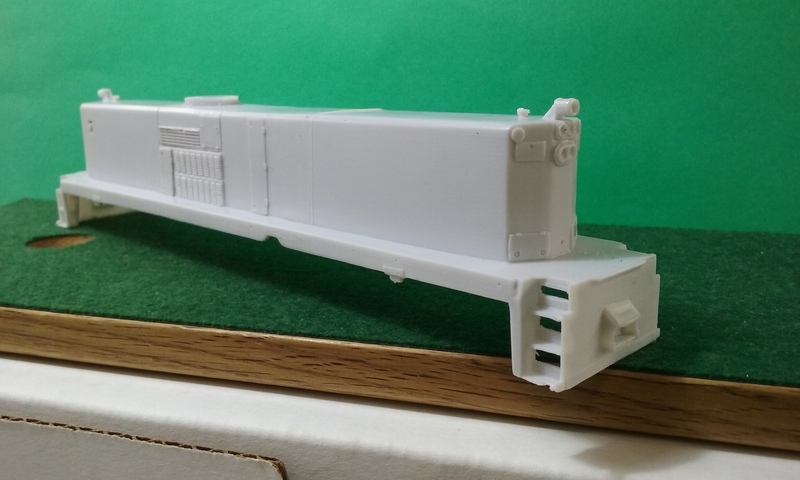 Set includes Logos, Lettering, Numbers to model one DTSL 50′ Boxcar. 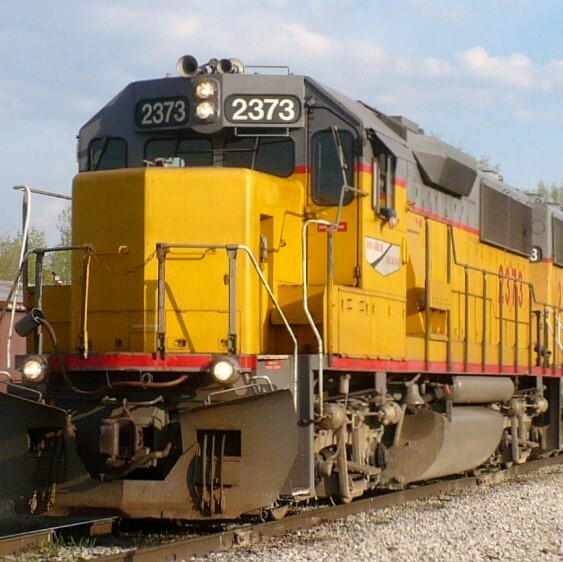 NetzlofDesign and Model works is releasing Detroit, Toledo and Shore Line Yellow Box Car Decals. 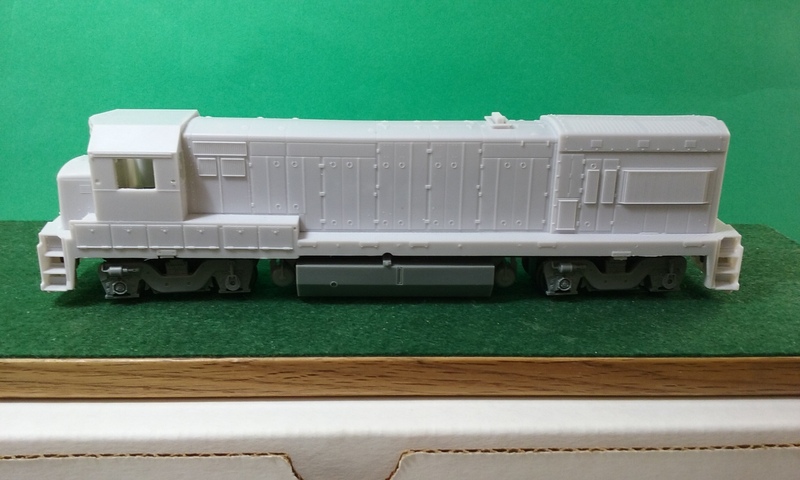 Set includes Logos, Lettering, Numbers to model one DTSL Yellow 40′ Boxcar. 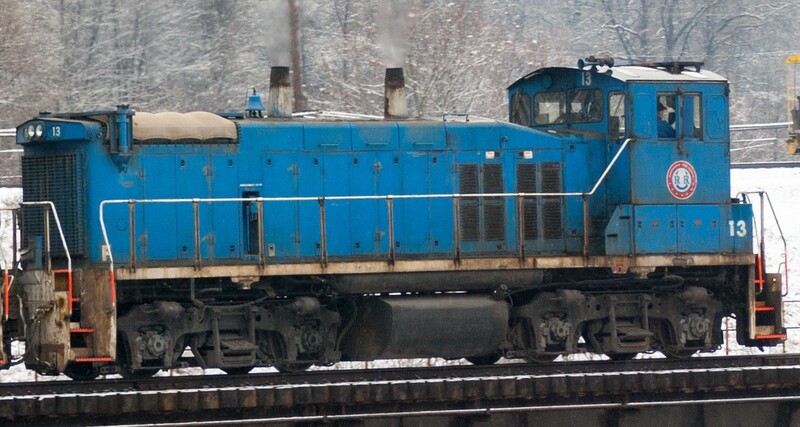 NetzlofDesign and Model works is releasing Bessemer Lake Erie ex DMIR Locomotive Decals. 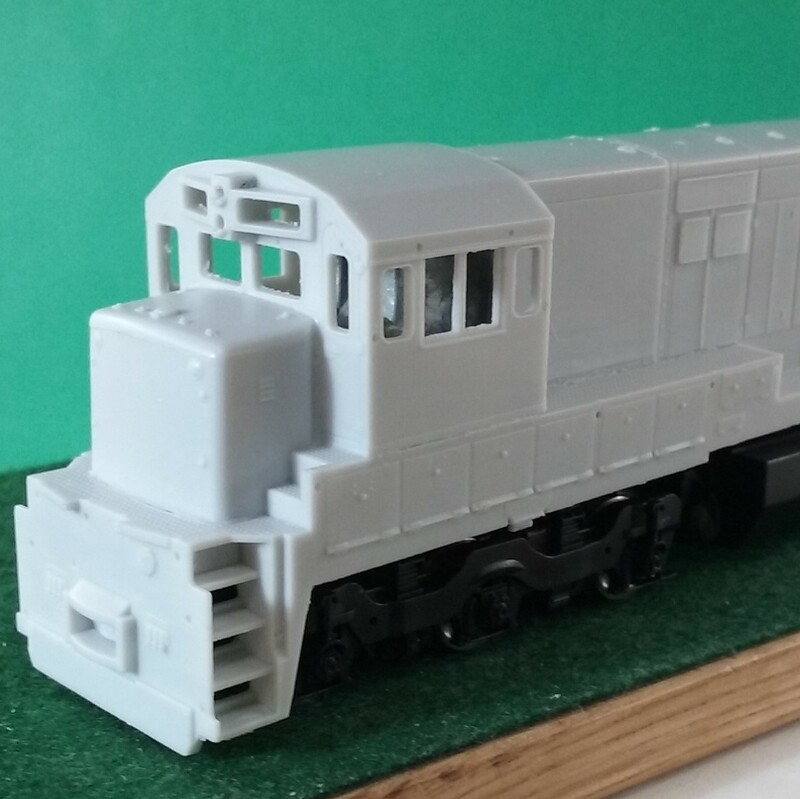 Set includes Lettering, Logos, Stripes, and Numbers to model one Bessemer DMIR Patch out locomotive. 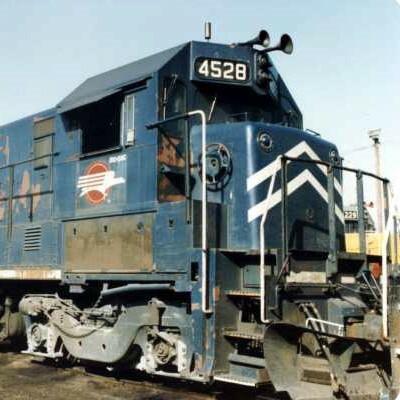 NetzlofDesign and Model works is releasing Duluth, Missabe and Iron Range Locomotive Decals (DMIR). 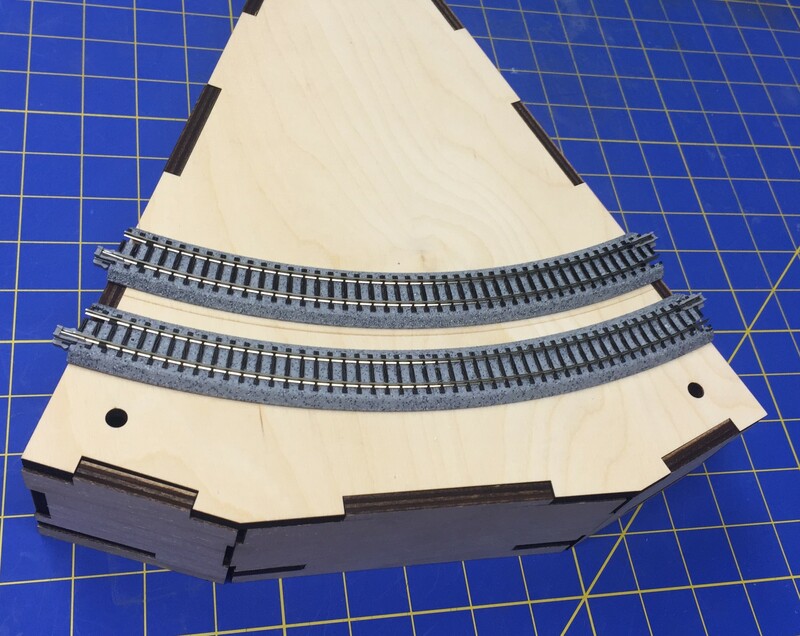 Set includes Logos, Stripes, and Numbers to model one Duluth, Missabe, & Iron Range locomotive. 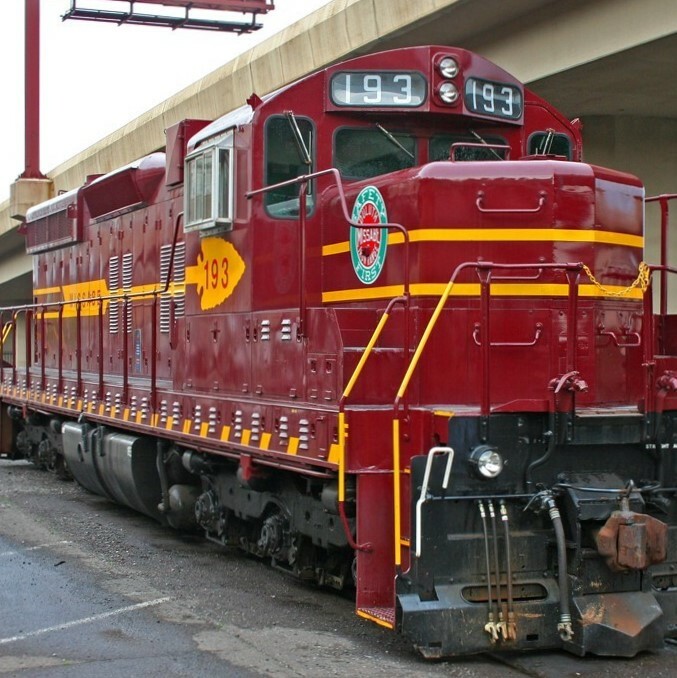 NetzlofDesign and Model works is releasing Chesapeake & Indiana Railroad Locomotive Decals. 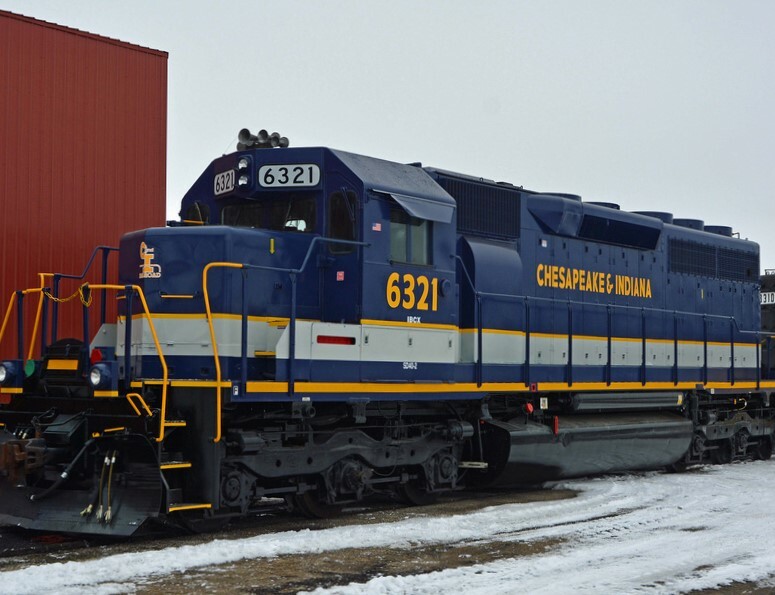 Set includes lettering, logos,stripes, and numbers to model one Chesapeake & Indiana locomotive in either the black or blue Southern inspired paint. 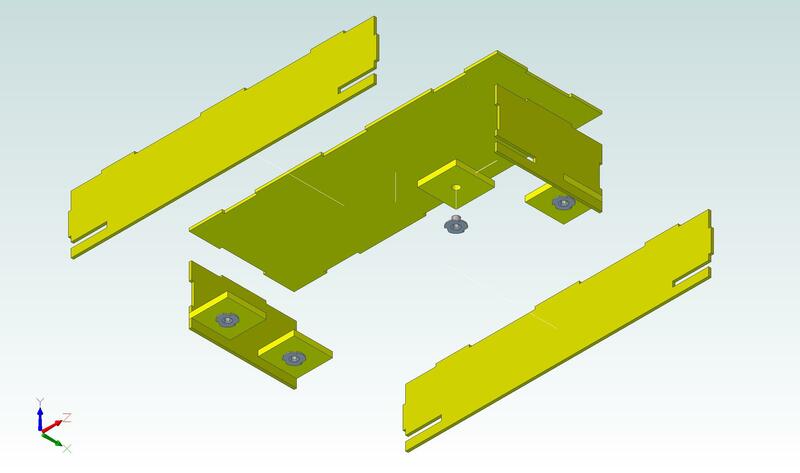 Tab Tec Modules are designed to the current T-TRAK Standard sizes. 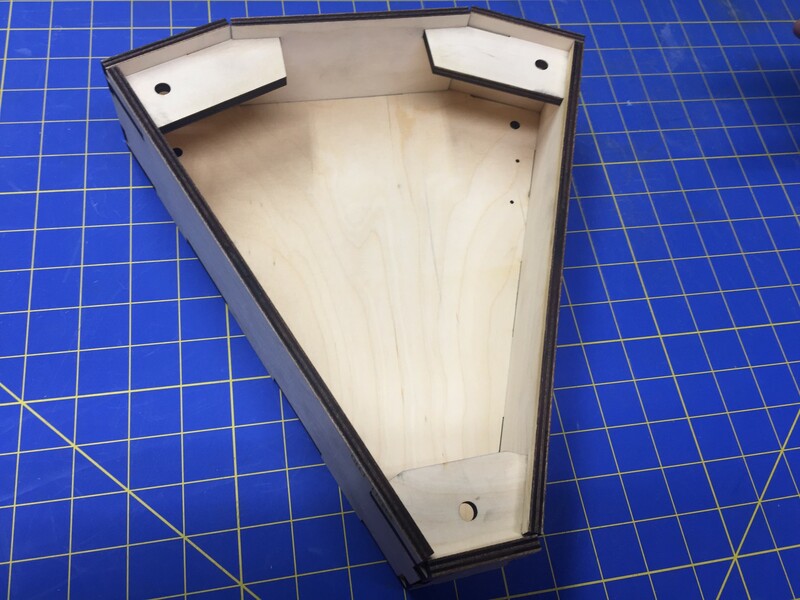 Created using Laser Cut plywood, the Tab Tec modules are precision fit, so glue and masking tape are the only tools needed for assembly. Now Available in 13in depth Modules. 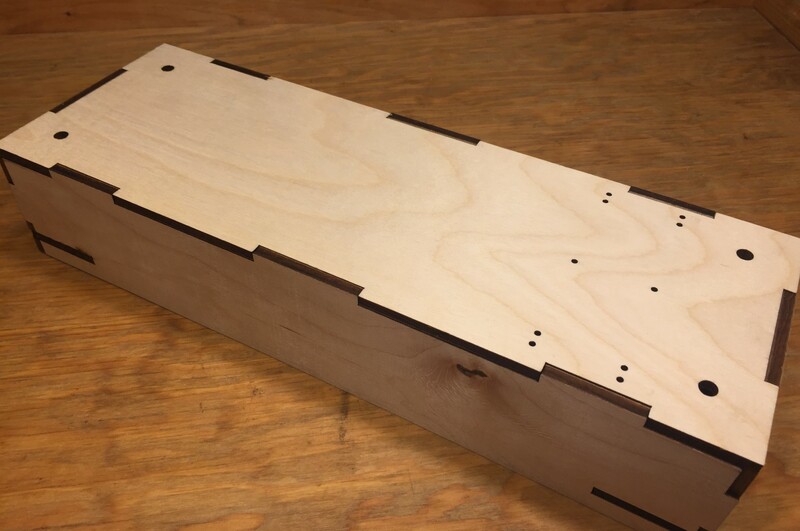 Custom Modules or drill holes can be made as well. 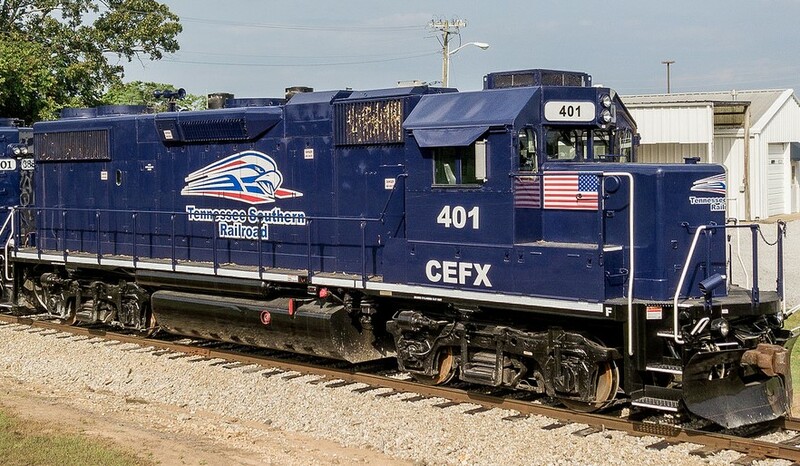 Set includes Lettering, Logos, Numbers, and Emblems to model CSX ES44AH 3099, the Spirit of West Springfield, as it appeared while touring with the Safety Training Trainset. 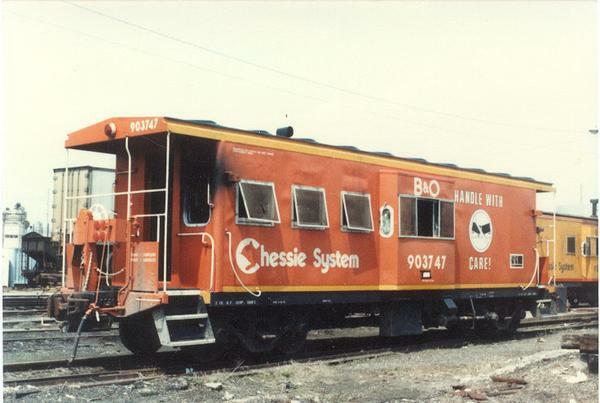 CSX, Baltimore & Ohio, Chesapeake & Ohio, Chessie System, and Western Maryland logos and images are Copyright and Trademark of the B&O Railroad Museum. Produced under License. 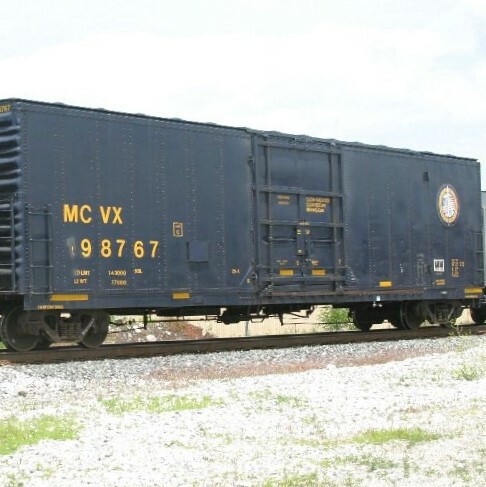 Set includes lettering, data, and logos to model MCVX/CSX Police equipment boxcar # 198767 that toured with the CSX SWAT training train set. 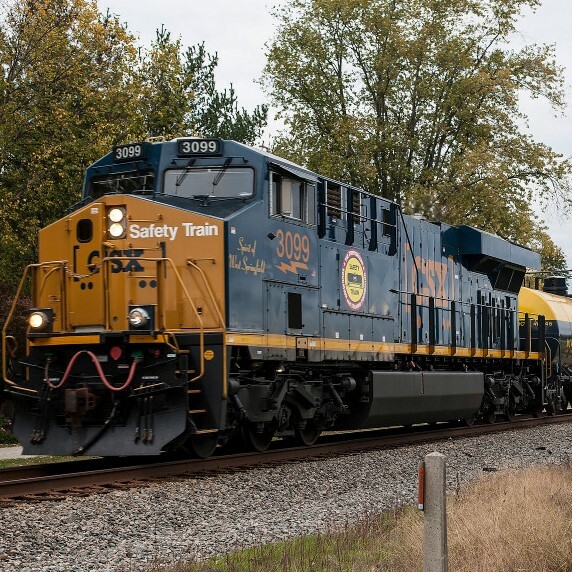 NetzlofDesign and Model works is releasing CSX/MCVX Safety Train Decals. 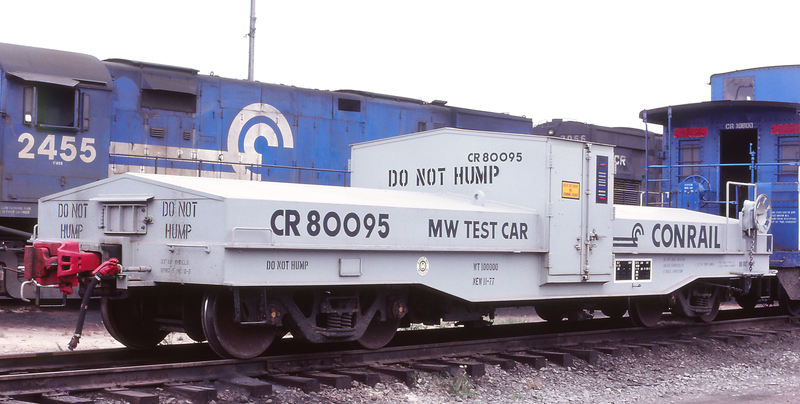 This set includes Lettering, Stripes, and Logos to model various pieces of equipment seen in the CSX Safety Train. CSX logos are Copyright and Trademark of the B&O Railroad Museum, Produced under license. 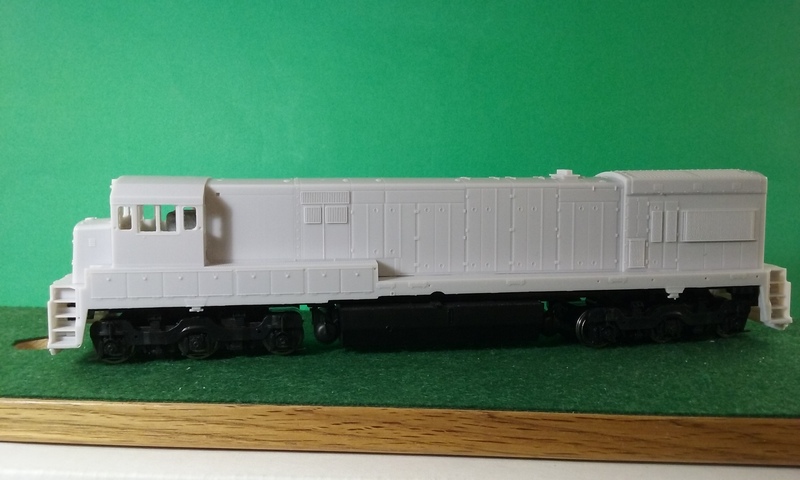 Set includes Lettering, Striping, Numbers, and Logos to model one Genesee Valley Transportation locomotive sublettered for the Mohawk, Adirondack, & Northern. 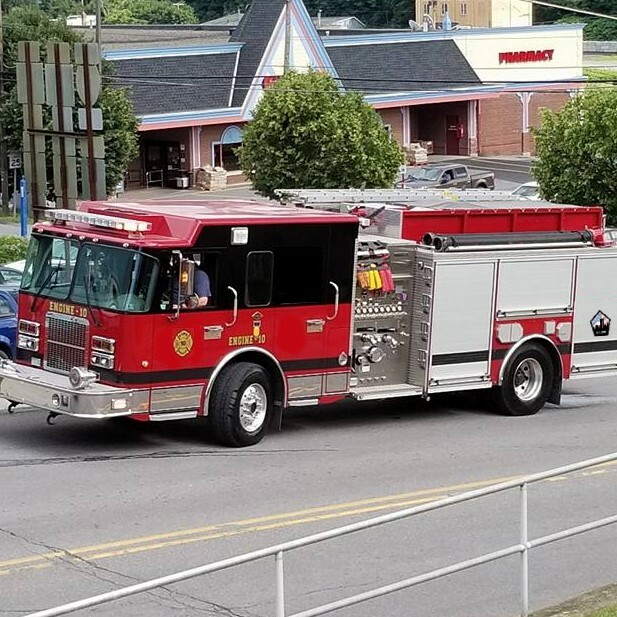 NetzlofDesign and Model works is releasing Generic Fire Vehicle Decals. 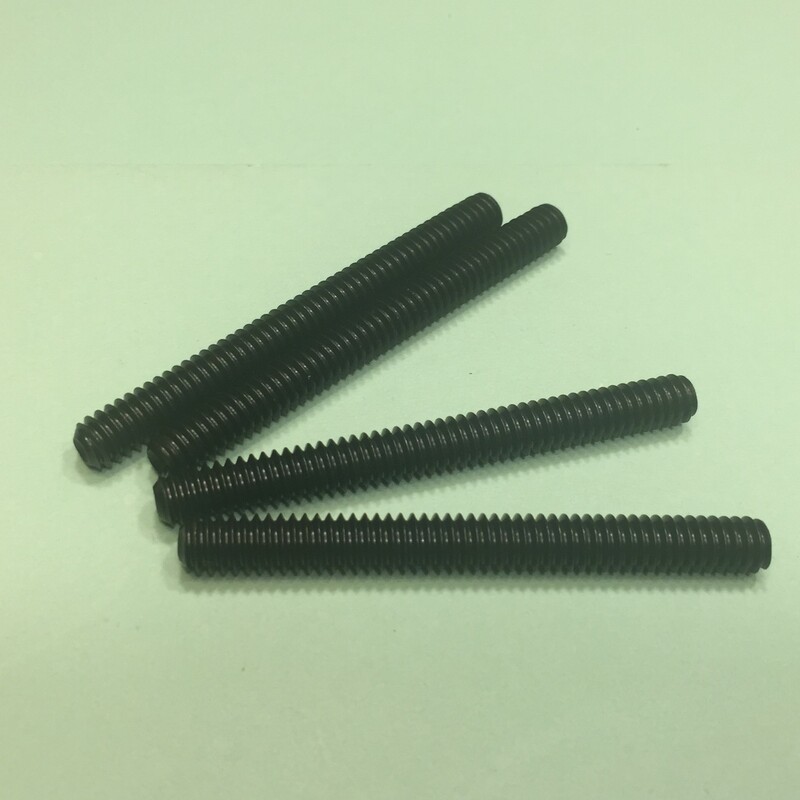 CMR Products is releasing T-Trak Module Leveling Screws and Sockets. 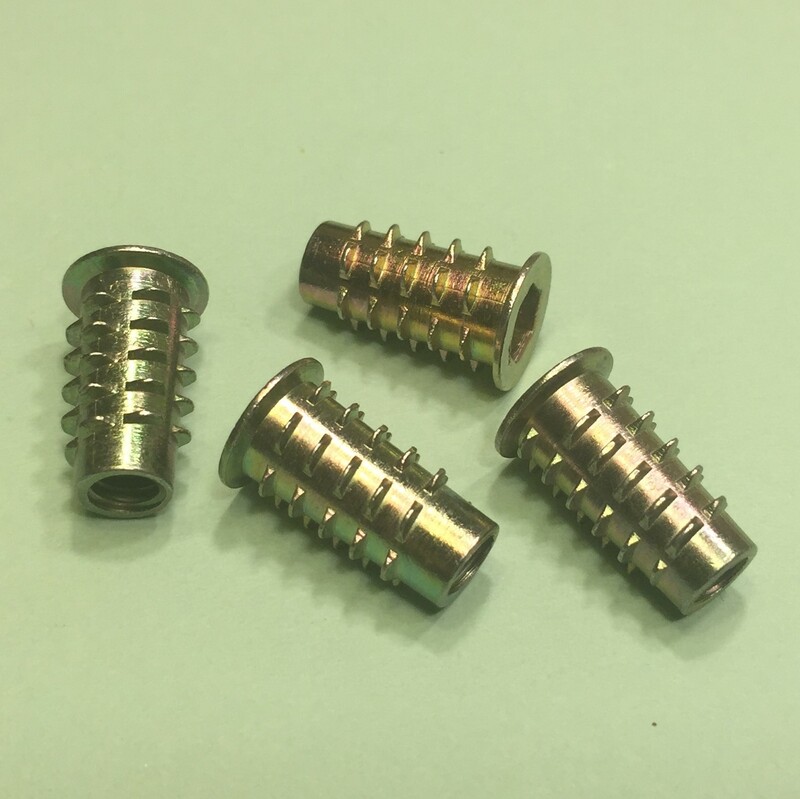 Leveling Screws for T-Trak Modules. 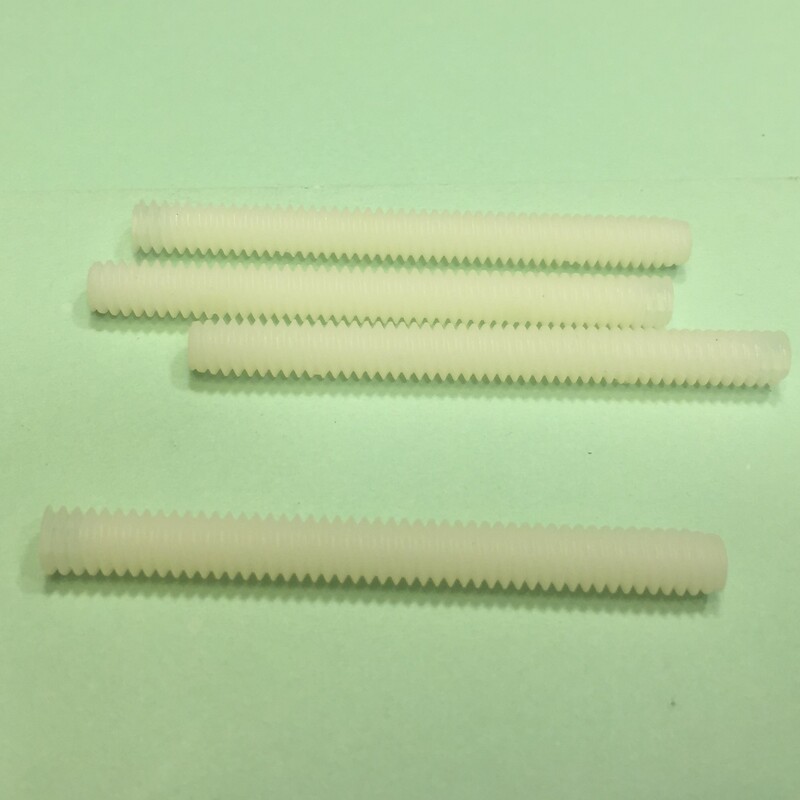 Each is 1/4 inch in diameter and 2.5 inches long. Available in Plastic and Steel. Steel Leveling Sockets for T-Trak Modules. Each is 1/4 inch in diameter and 3/4 inches long. These items can be purchased directly through the CMR Products Web site store. 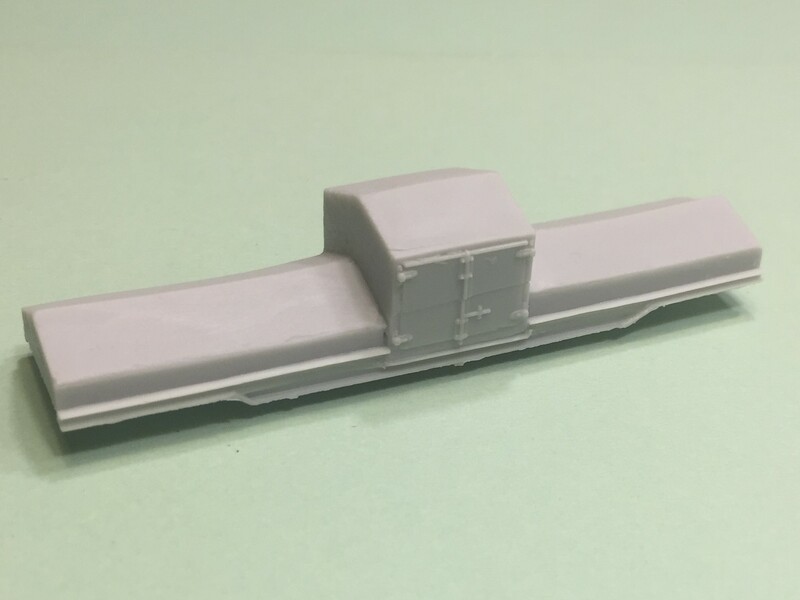 Puttman Car Works is releasing N Scale Conrail Scale Test Car. 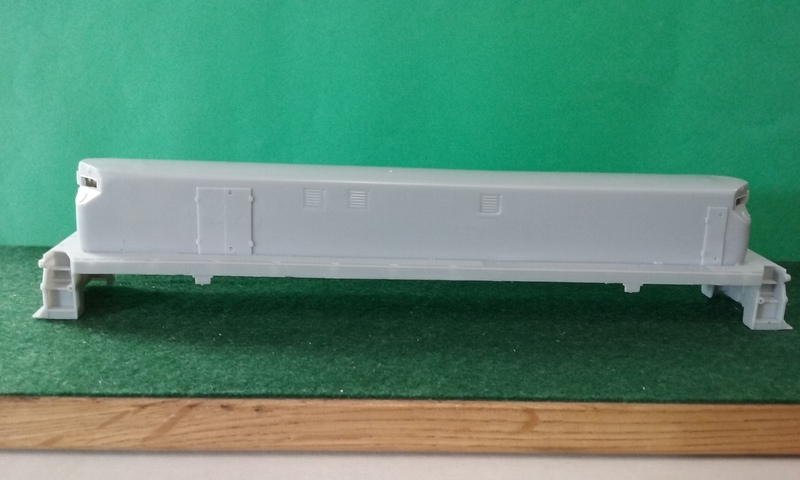 This is an undecorated N Scale Polyurethane Conrail Scale Test Car. Details as shown are included. This kit does not include trucks or couplers. 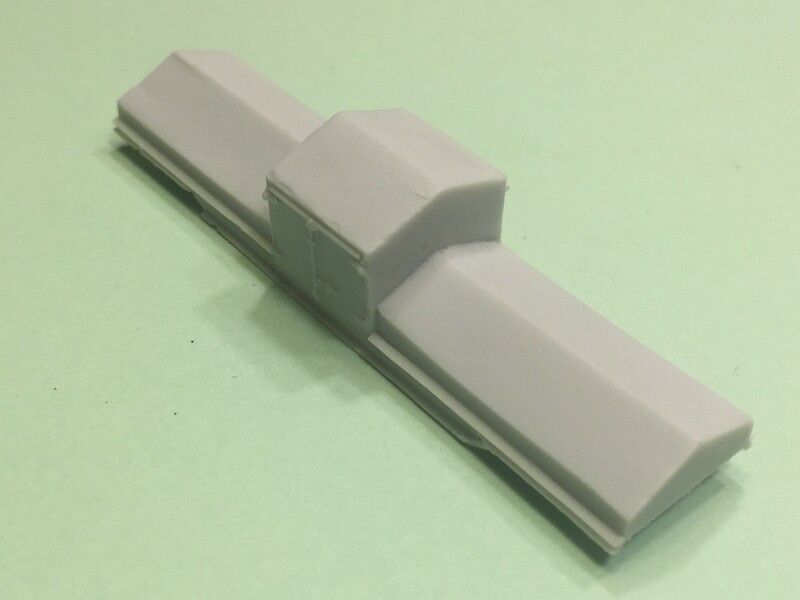 NetzlofDesign and Model works is releasing Ann Arbor Railroad – Yellow & Gray Locomotive Decals WAMX. 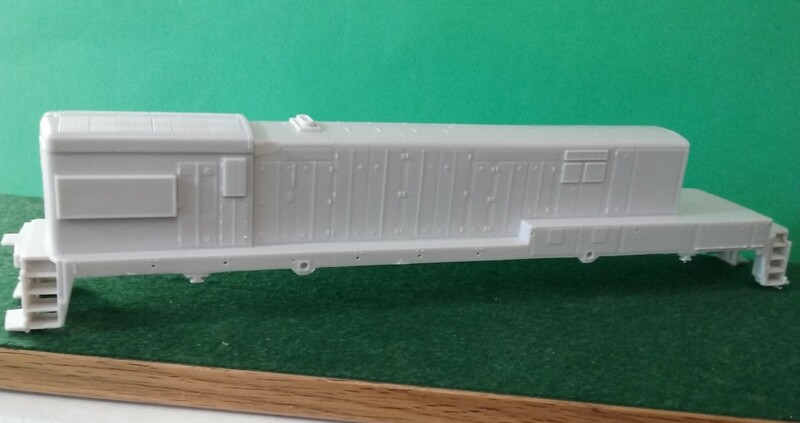 Set includes Logos, Numbers, and Stripes to model one Ann Arbor locomotive in the Yellow and Gray paint scheme. 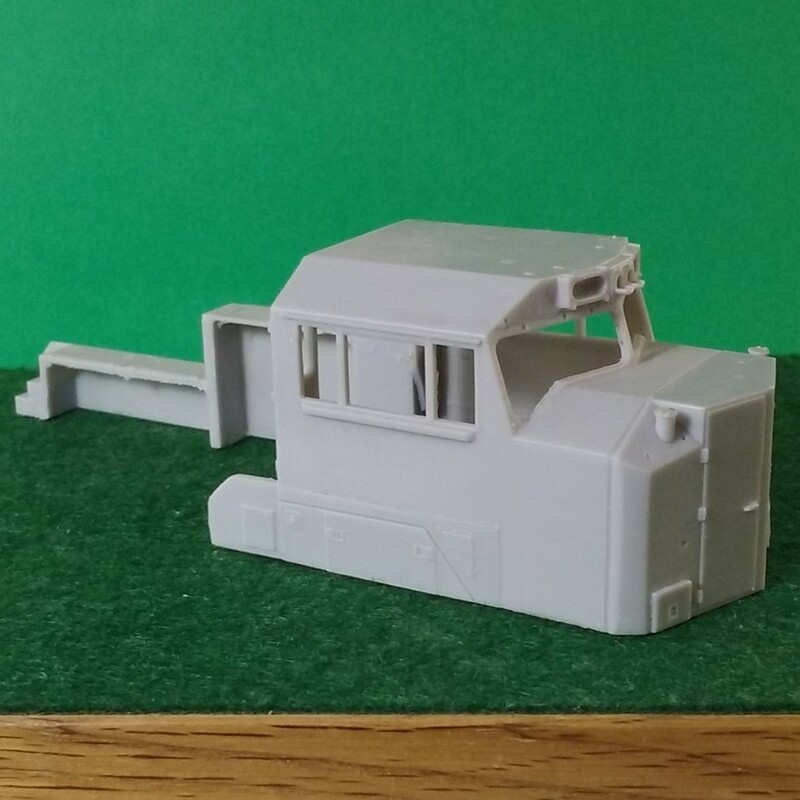 NetzlofDesign and Model works is releasing Norfolk Western C-18 Caboose White Logo Decals. 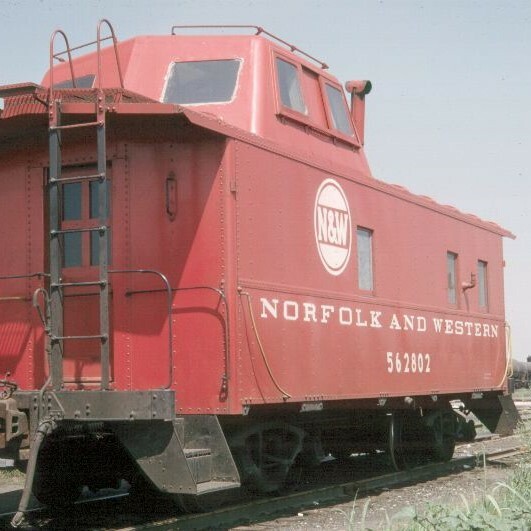 This set includes logos, numbers, and dimensional data to model two of Norfolk Western’s C-18 Cabooses in the Red / White Scheme. 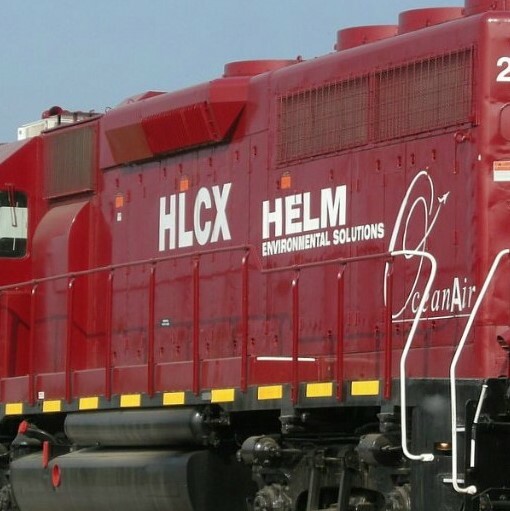 Set includes lettering, numbers, and logos to model HLCX #2010, the Helm Environmental Services 645EcoLogic demonstrator unit. Set includes lettering, numbers, and stripes to model Helm Leasing’s CEO Honor unit number 8045. 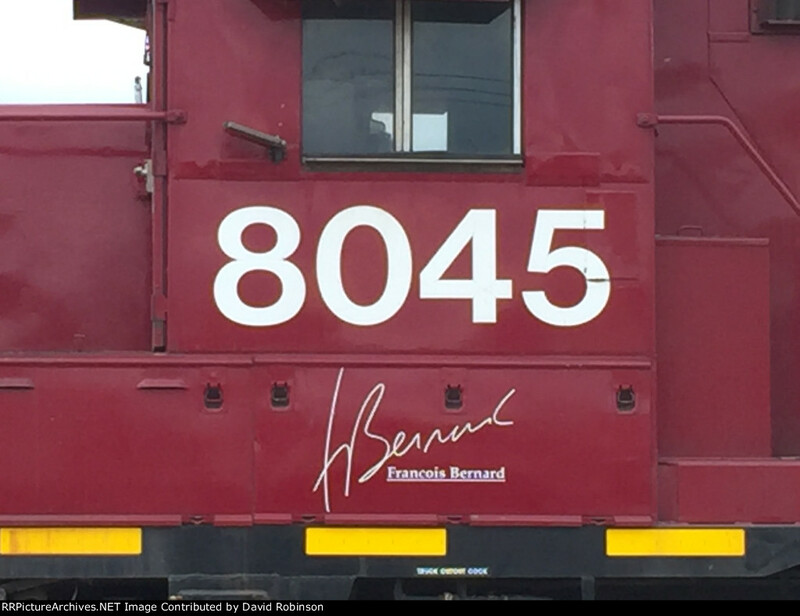 Includes Signatures for CEOs Francois Bernard and John F Dains with their matching reporting marks. 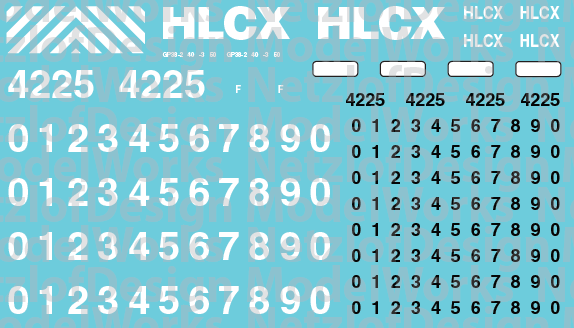 Set includes Lettering, Stripes, and Numbers to model one HLCX Lease Unit in either the blue or red paint. Combine with our Bright Yellow Reflective Striping Sets. 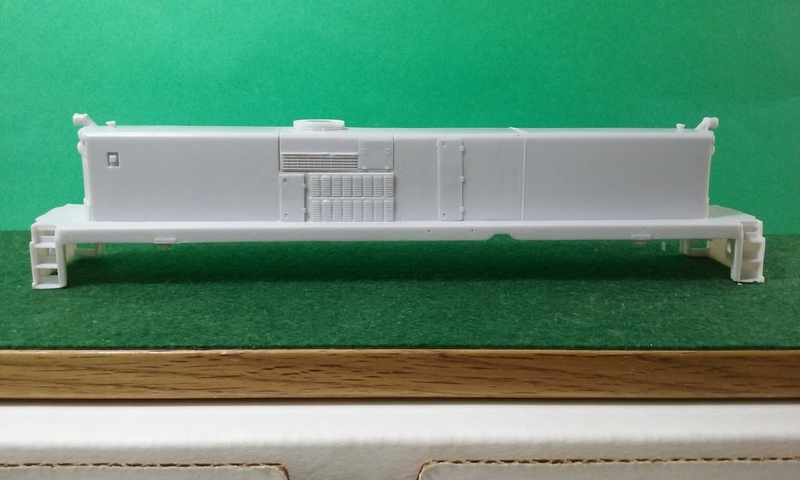 NetzlofDesign and Model works is releasing Conrail Office Car Special / Business Train Decal Set. 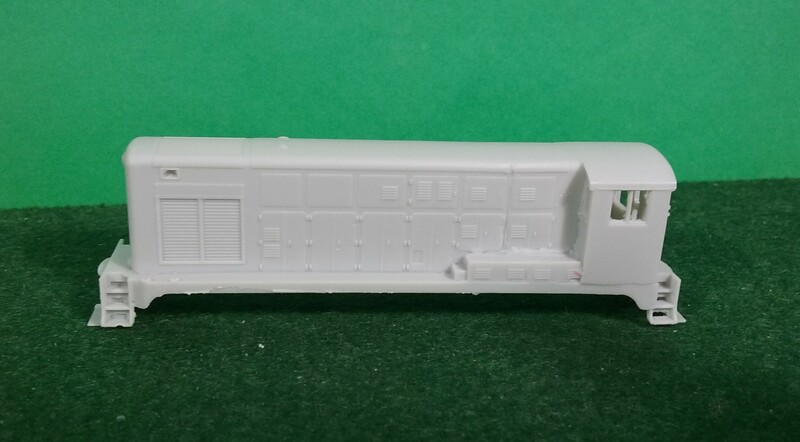 Set includes Logos, lettering, numbers, and extra striping to model one piece of Conrail Office Car Special Service rolling stock in the Dark Green and Dulux Gold paint scheme. 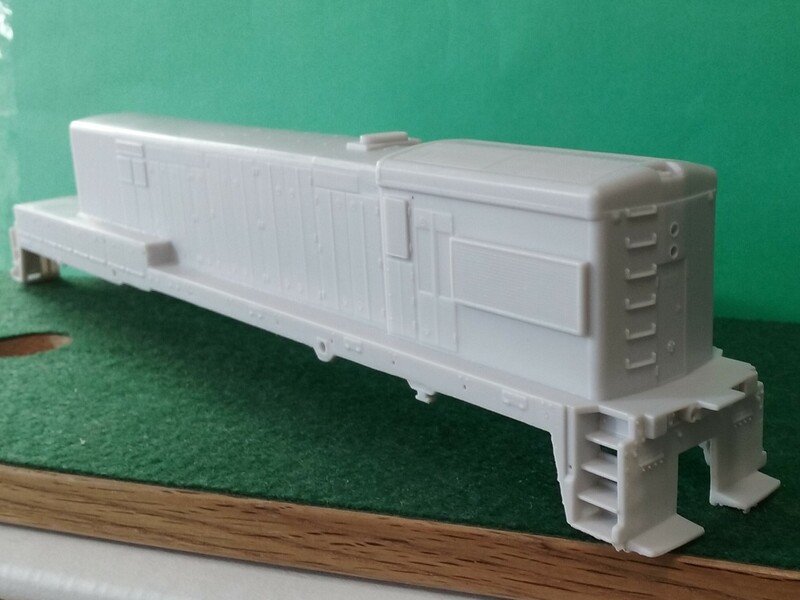 NetzlofDesign and Model works is releasing Chessie System Handle with Care Caboose Decals. 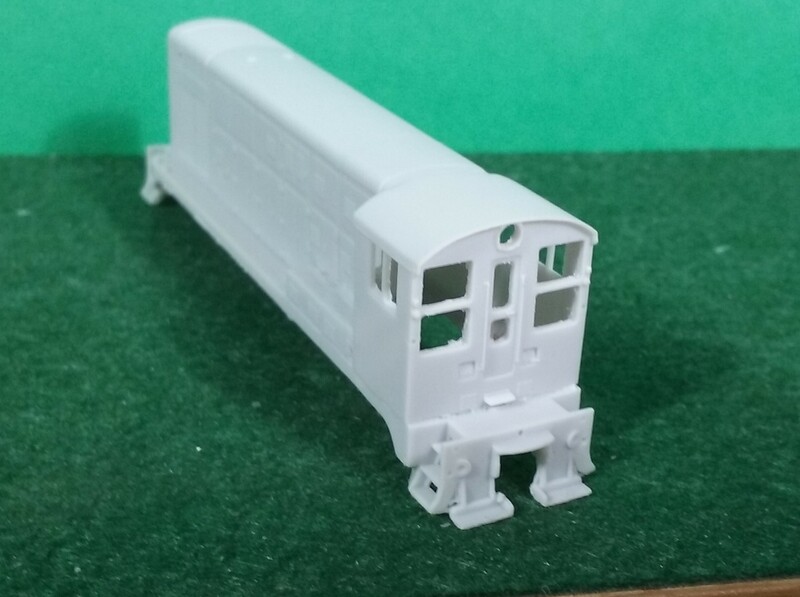 Set includes Lettering, Logos, Emblems, and Numbers to model one Chessie Handle With Care caboose with B&O or C&O sublettering. Baltimore & Ohio, Chesapeake & Ohio, Chessie System, CSX, and Western Maryland logos and images are Copyright and Trademark of the B&O Railroad Museum. 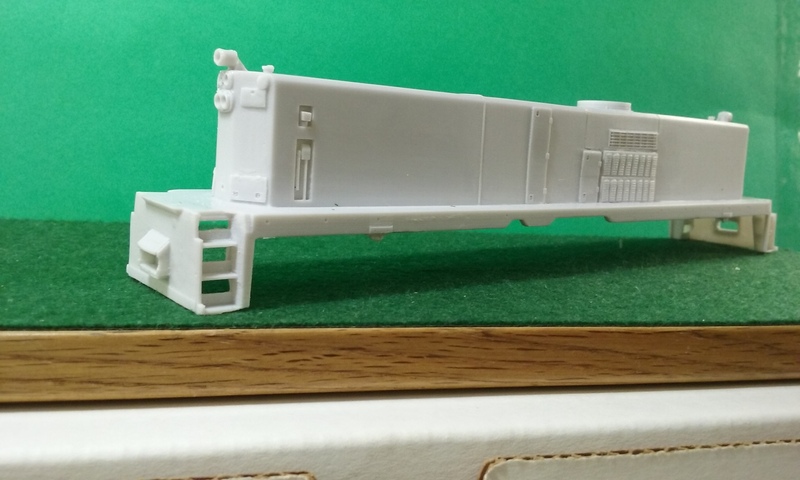 Produced under License..
NetzlofDesign and Model works is releasing Reading Northern (RBMN) GP38-2 Decal Set. This decal set includes Stripes, Logos, Lettering, and Numbers to model one of Readign & Northern’s ex-Norfolk Southern GP38-2s. 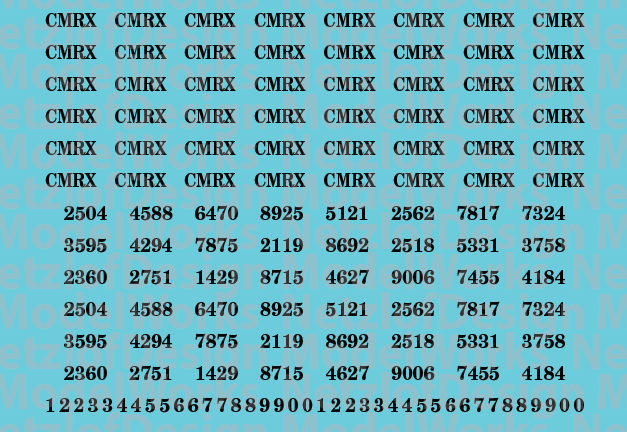 NetzlofDesign and Model works is releasing GMTX Lease Unit and Patch Out Decal Set. 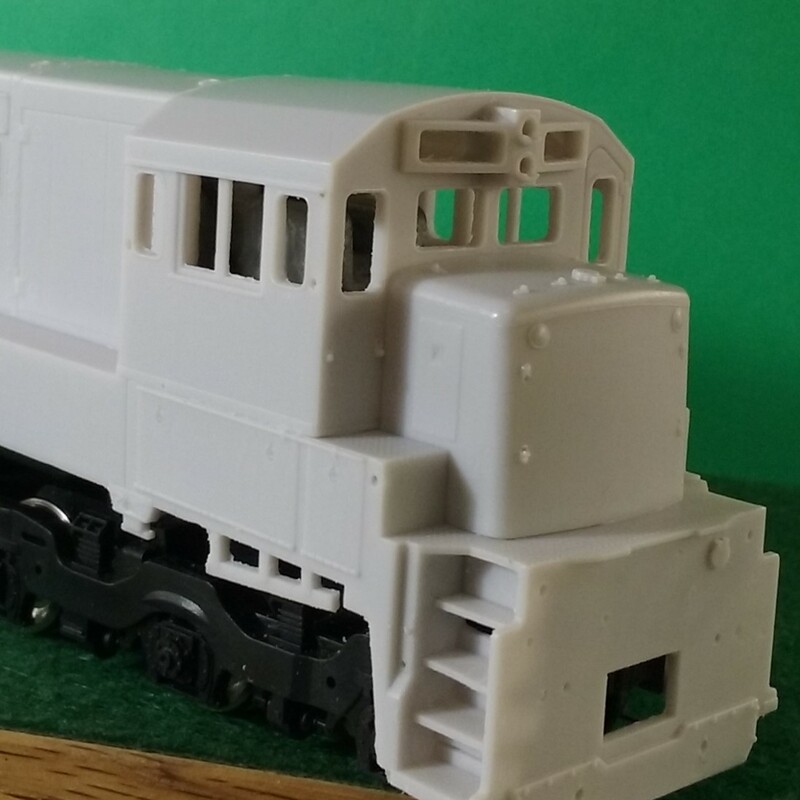 Set includes lettering, logos, and numbers to model GATX’s classic Blue and White lease locomotives, as well as several patch out style. Set includes multiple sized logos and with planning may yield more than one model. 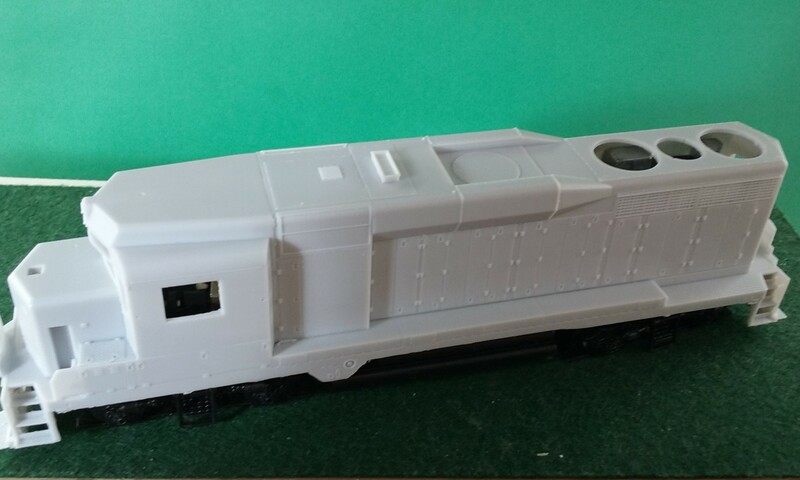 NetzlofDesign and Model works is releasing GMTX Lease Locomotive exFGLK scheme Locomotive Decal Set. 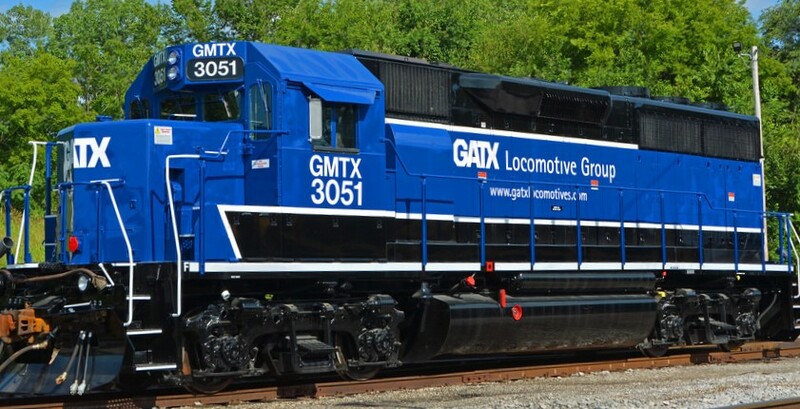 Set includes lettering, logos, stripes, and numbers to model one GMTX Lease SD38-2 following lease to the Finger Lakes Railway. 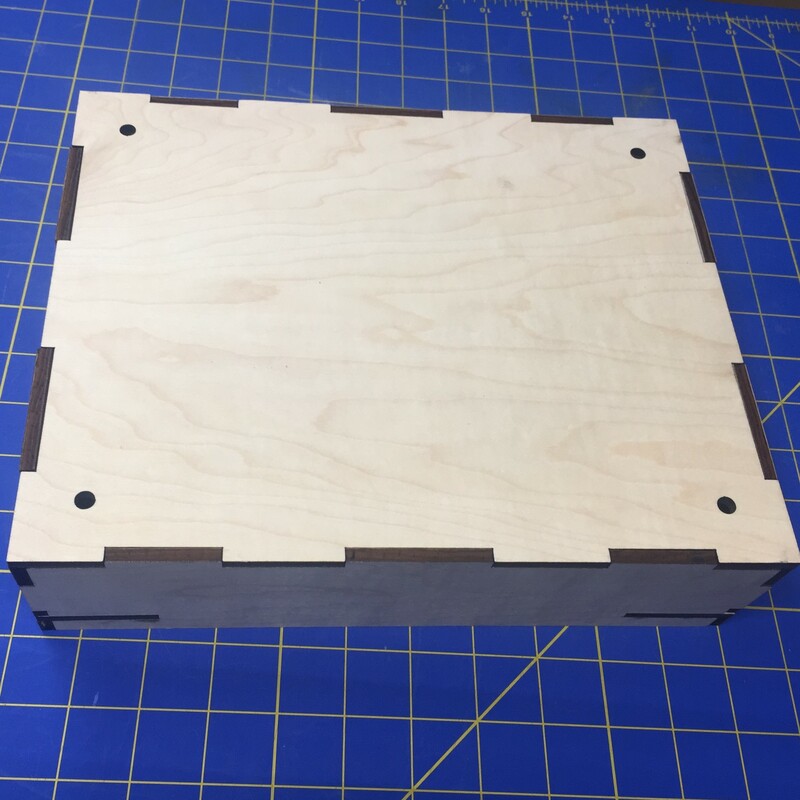 NetzlofDesign and Model works is releasing GMTX Black & Blue Lease Units. 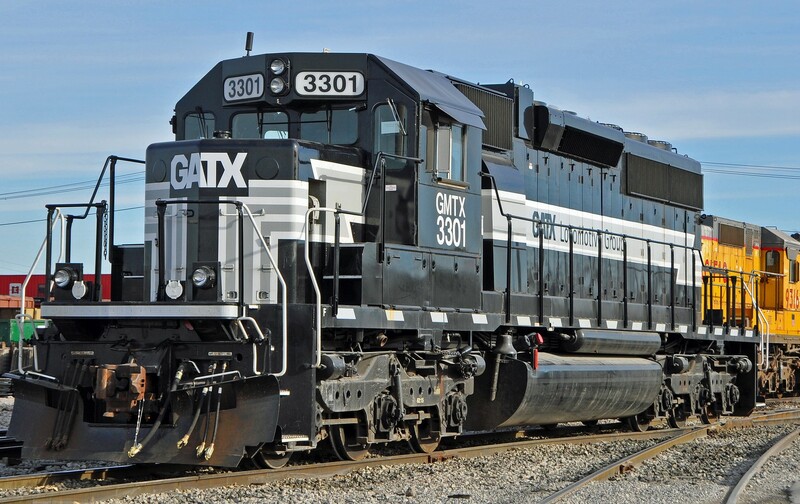 Set includes Lettering, Logos, Numbers, and Stripes to model one GATX Leasing locomotive in their new Black and Blue paint scheme..
NetzlofDesign and Model works is releasing Indiana Northeastern (IN) USDOT #2000 Locomotive Decal Set. 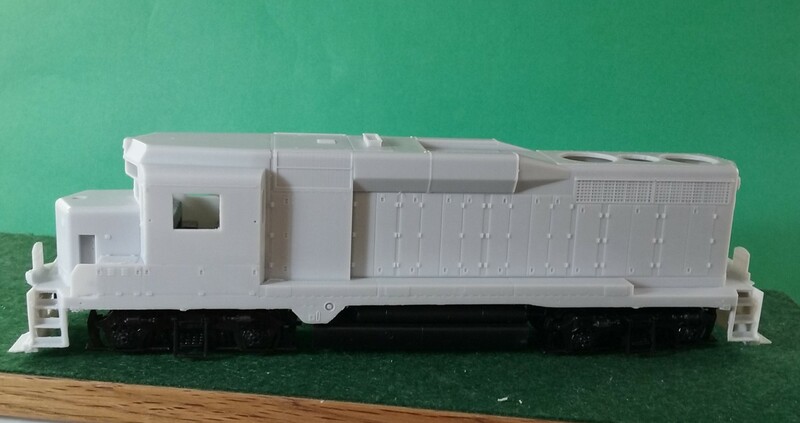 Set includes Lettering, Stripes, and Numbers to model DOTX 2000 in it’s newest, Indiana Northeastern-styled paint scheme. 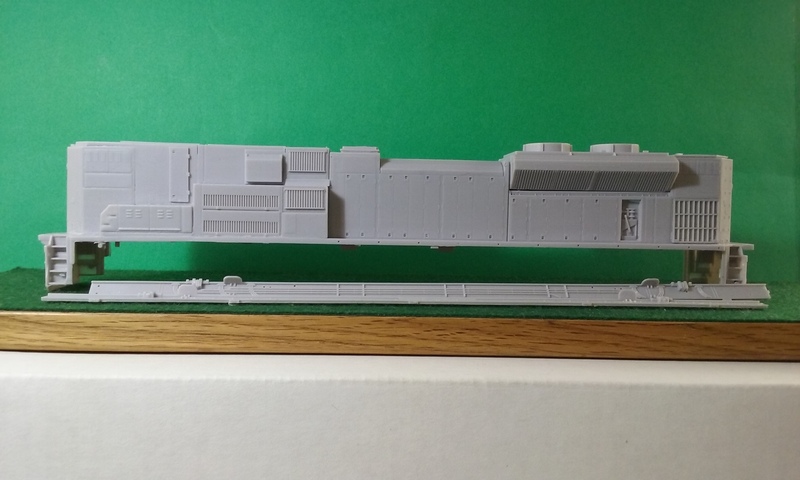 NetzlofDesign and Model works is releasing Indiana Northeastern (IN) EMD SDs Locomotive Decal Set. 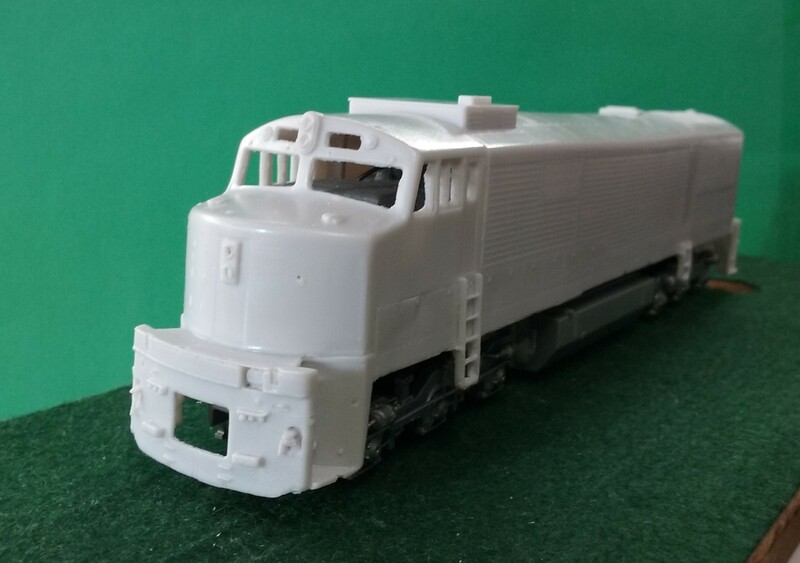 Set includes Lettering, Stripes, and Numbers to model one of Indiana Northeastern’s new SD locomotives. 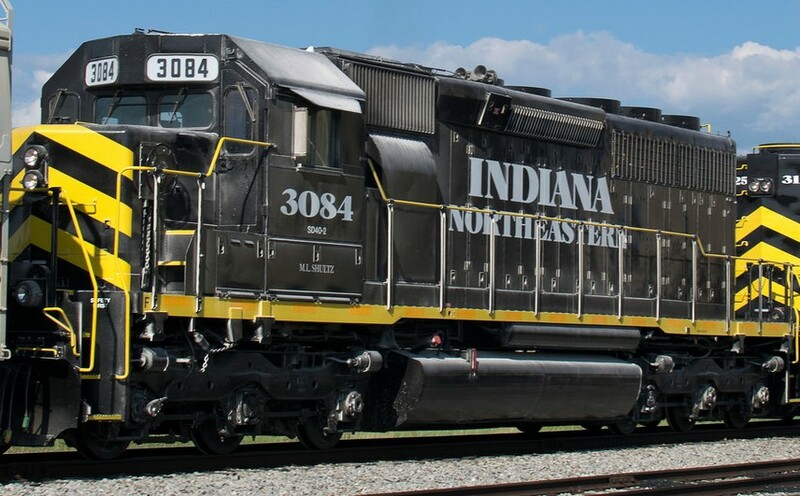 NetzlofDesign and Model works is releasing Indiana Northeastern (IN) 25 Years GP9 Locomotive Decal Set. 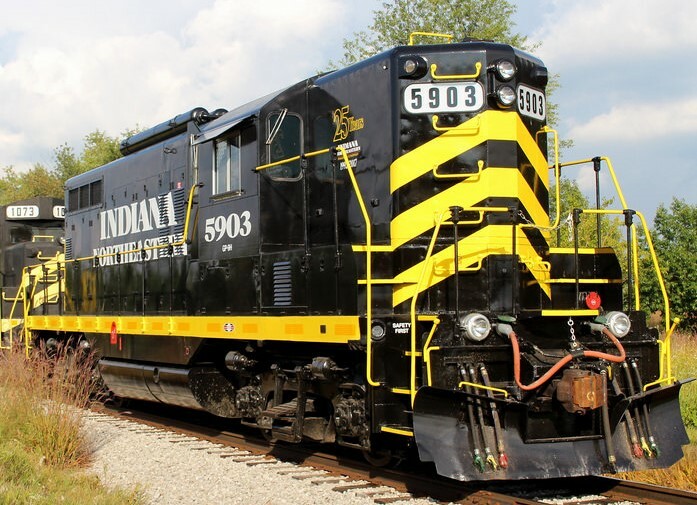 Set includes Stripes, Lettering, Numbers, and Emblems to model Indiana Northeastern #5903 with it’s 25 Years of Service emblems. Set includes lettering, numbers, data, and logos to model one complete three unit set of the 2018 TTX Pink Rail Car Project 53′ Stack car. 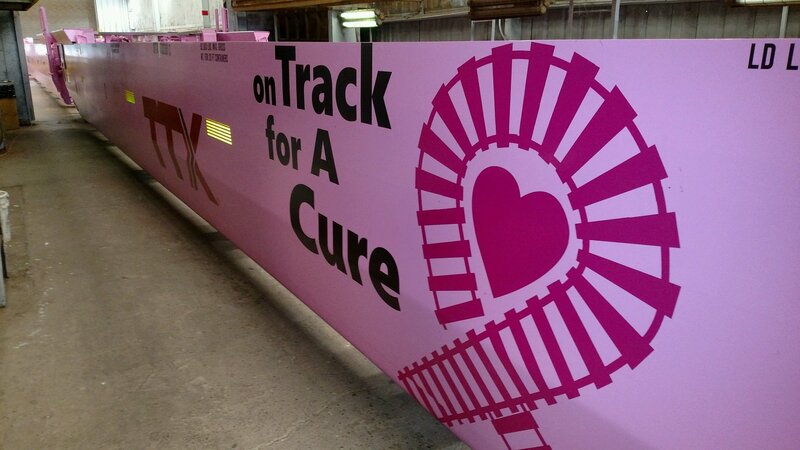 Combine with our “Railbox Pink On Track for a Cure Hands Add-on Set” to model this car in it’s “post event” appearance. 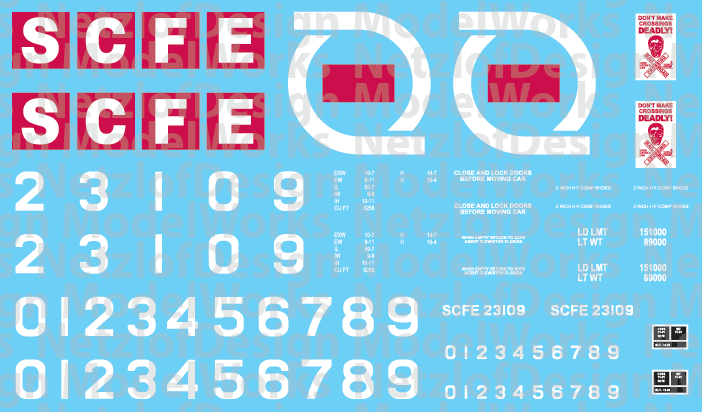 NetzlofDesign and Model works is releasing Customizable Reporting Marks Decals. Choose from 4 different railroad fonts, 3 different colors and enter in your own reporting marks directly into our order form. 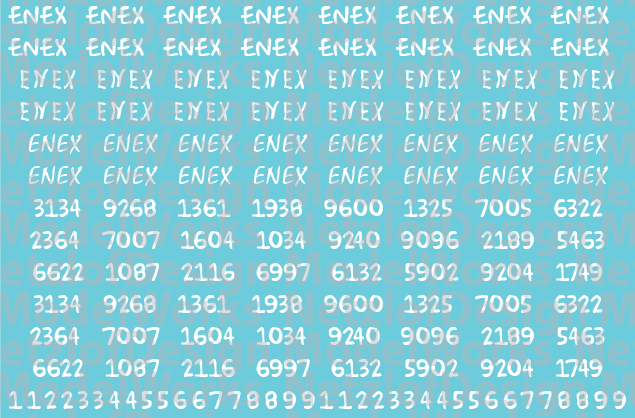 Number banks will be paired, randomized, sets of numbers. No Setup fee is required for these sets. 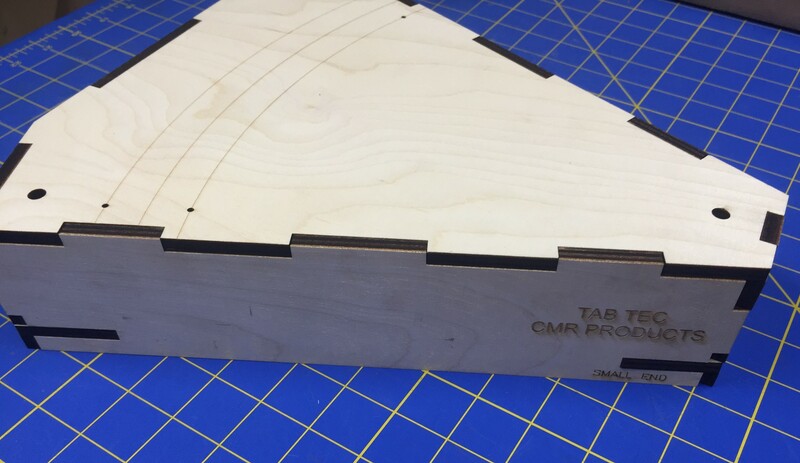 NetzlofDesign and Model Works will begin offering Decals in all Standard scales on the CMR Products Website. NetzlofDesign has always offered custom sizing on all decal sets, in an effort to streamline business offerings, we will begin offering all scales as options on the CMRProducts.com web site. 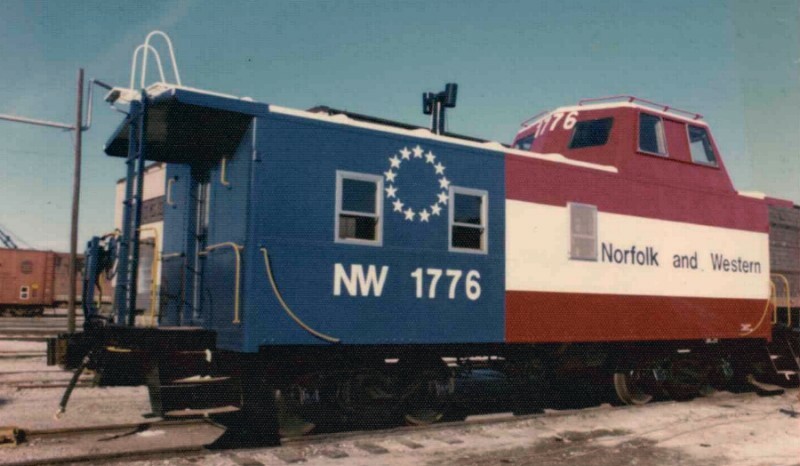 NetzlofDesign and Model works is releasing North Shore Railroad (NSHR) Caboose Decals. 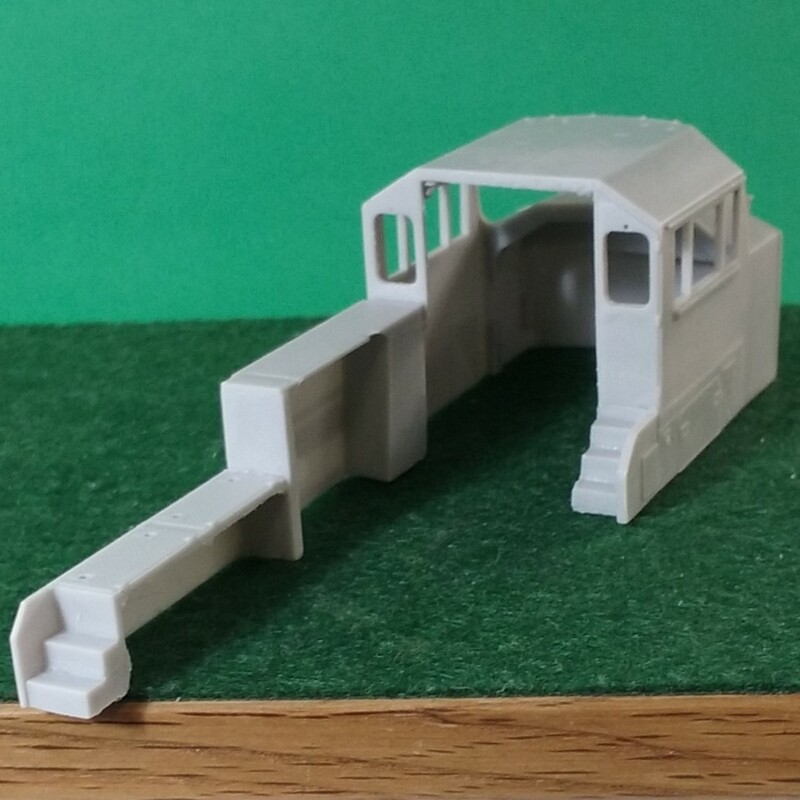 Set includes lettering, logos, and numbers to model one North Shore railroad Caboose. The set will be available in HO and N Scales. 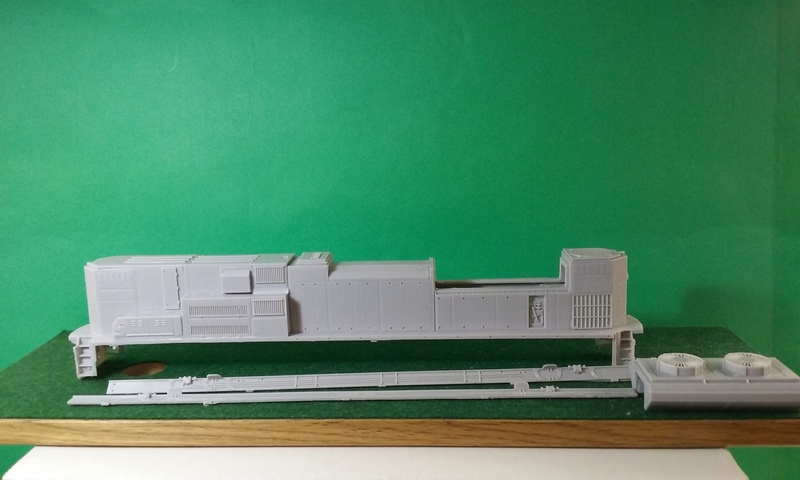 O and Z Scale are available as print on demand. Other scales are available by special request. 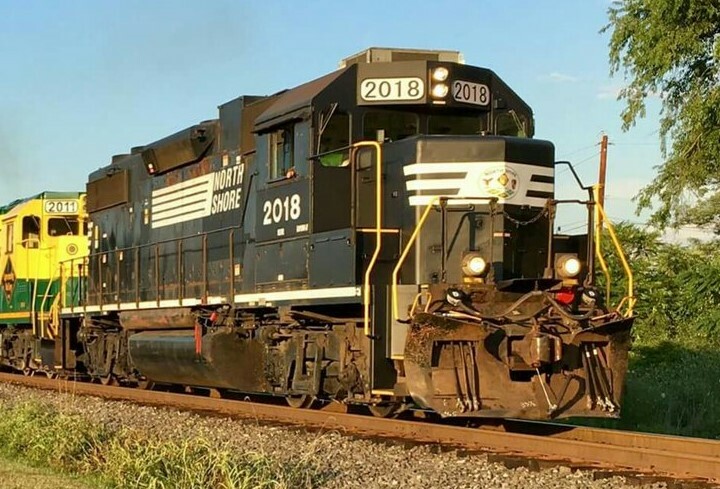 Set includes lettering, logos, and numbers to model one Tennessee Southern Railroad locomotive in their new paint scheme. NetzlofDesign and Model works is releasing Akron, Canton and Youngstown 50′ Box Car Yellow/Black Scheme. 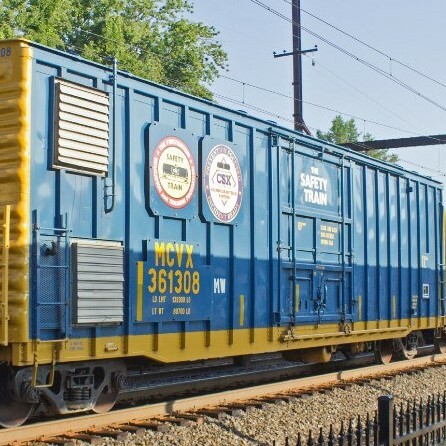 Set includes Lettering, Slogans, and numbers to model one ACY 50′ Yellow box car with black lettering. 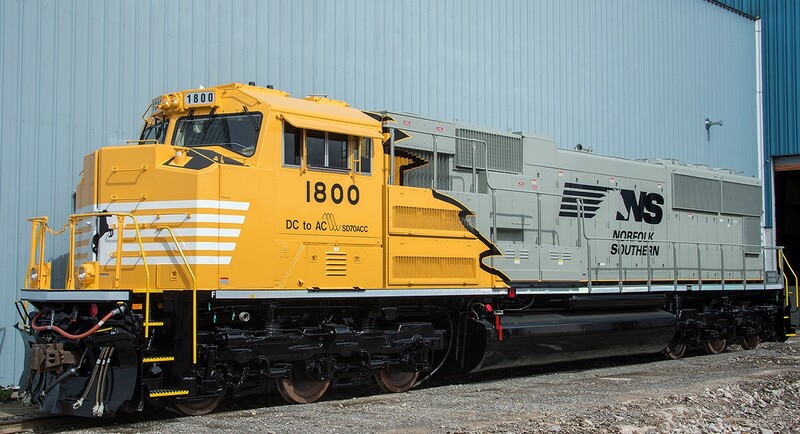 NetzlofDesign and Model works is releasing Norfolk Southern SD70ACC #1800 Decal Set. 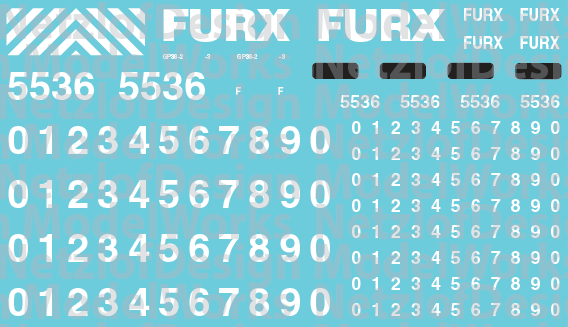 NetzlofDesign and Model works is releasing First Union Rail (FURX) GP38-2s Decals. 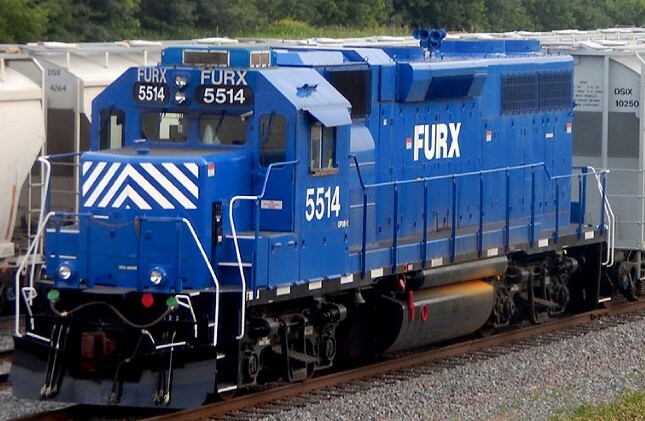 This set includes stripes, lettering, and numbers to model one First Union Rail (FURX) GP38-2s. 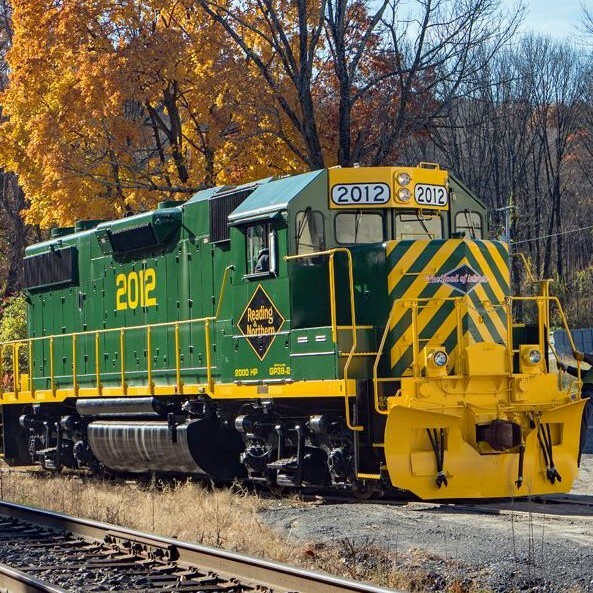 NetzlofDesign and Model works is releasing Cuyahoga Valley Scenic Locomotive Decals. 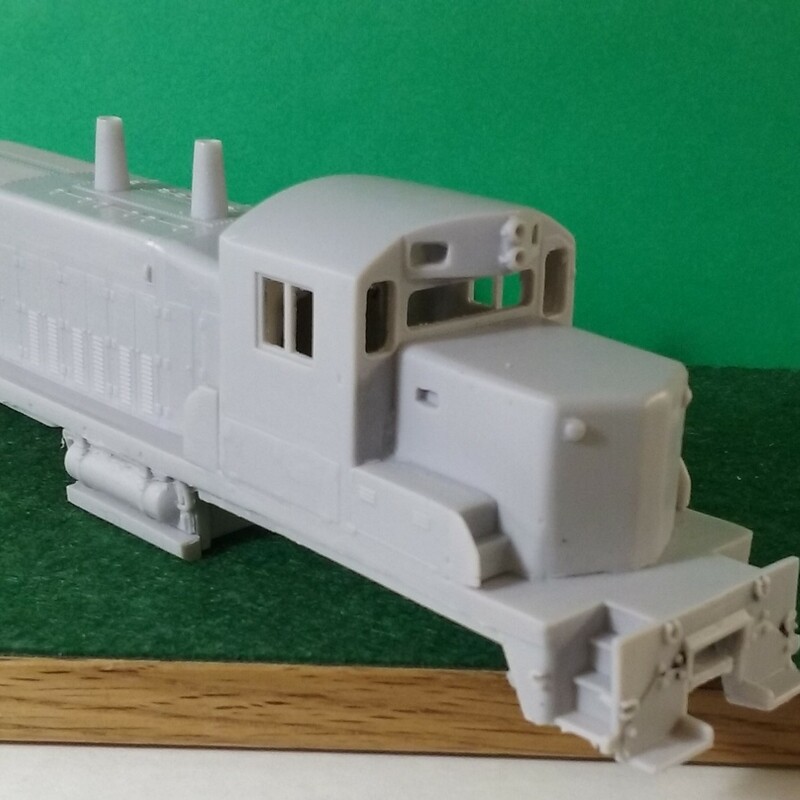 This set includes stripes, lettering, and numbers to model one Cuyahoga Valley Scenic Locomotive. 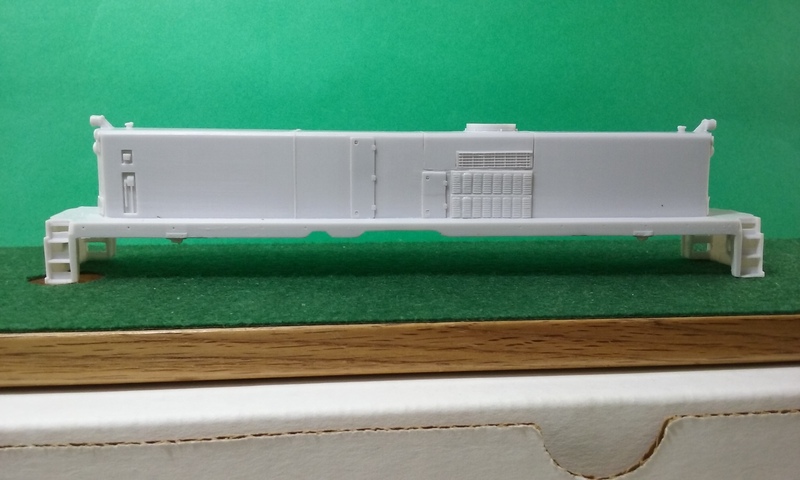 NetzlofDesign and Model works is releasing Angelina & Neches River Railroad (A&NR) Box Car. 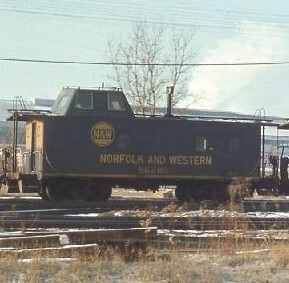 This decal set provides decals for one (1) ANR Blue Box Car. 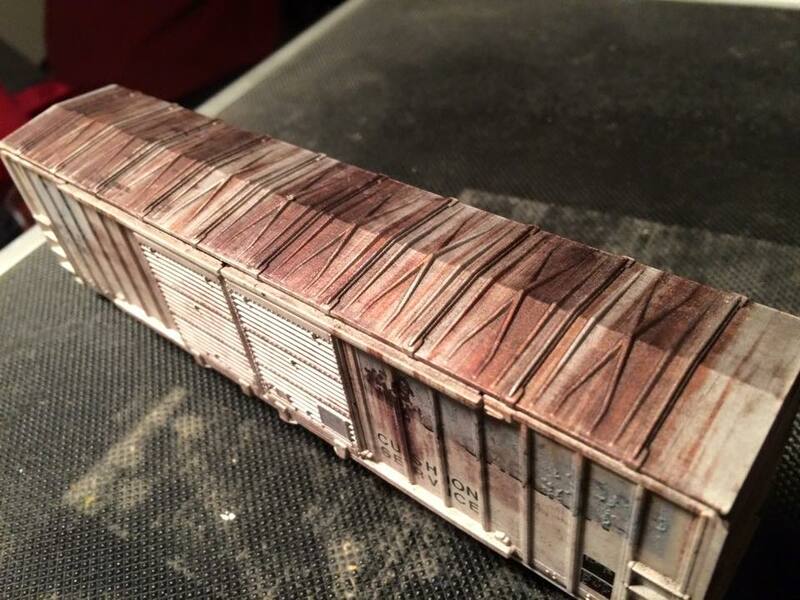 NetzlofDesign and Model works is releasing South Central Florida Express Box Car Decals. 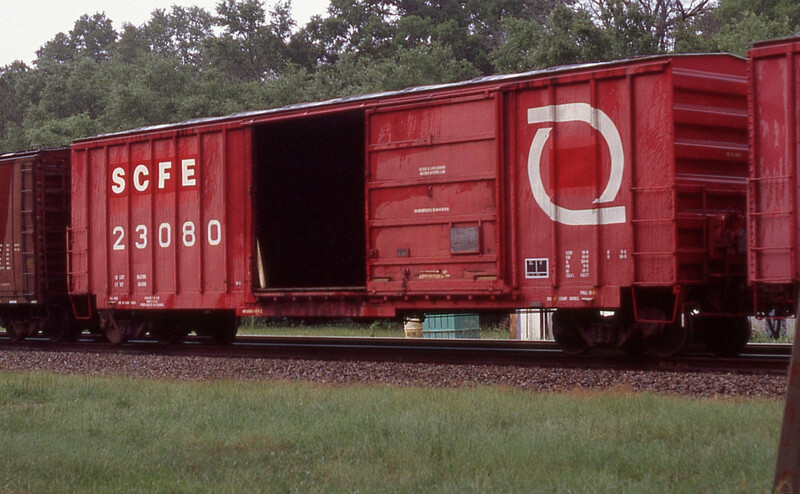 This decal set provides decals for one (1) SCFE Red Box Car. 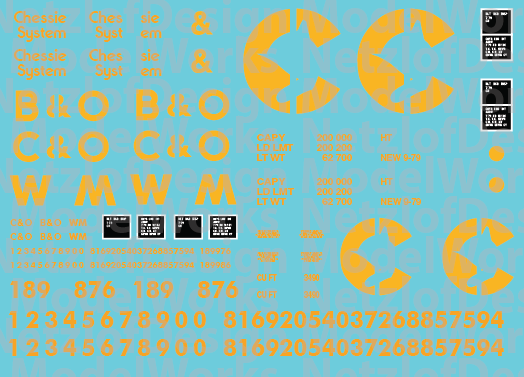 NetzlofDesign and Model works is releasing Chessie System (B&O/C&O/WM) 100 Ton 3 Bay Open Hopper Decal Set. 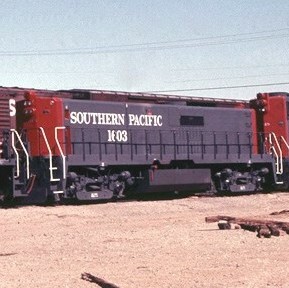 Set includes Logos, lettering, emblems, and stripes to model one Chessie system 100 ton open hopper. 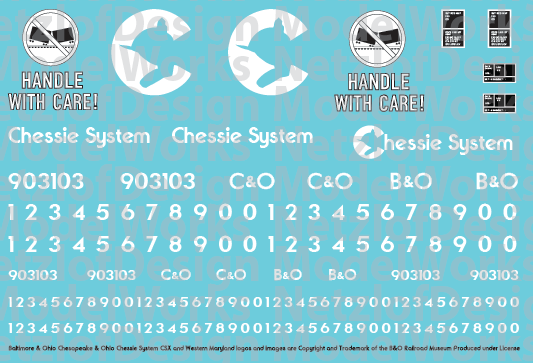 NetzlofDesign and Model works is releasing Chessie System (B&O/C&O/WM) 55 Ton 2 Bay Open Hopper Decal Set. 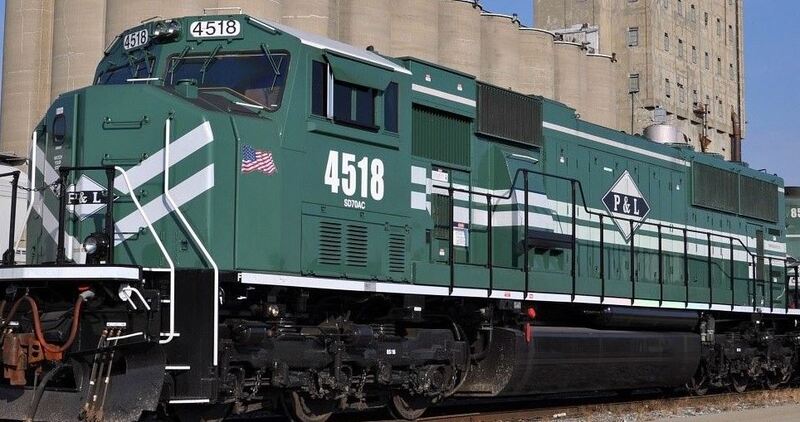 Set includes Logos, lettering, emblems, and stripes to model one Chessie system 55 ton open hopper. NetzlofDesign and Model works is releasing 16 new weathering decal sets. 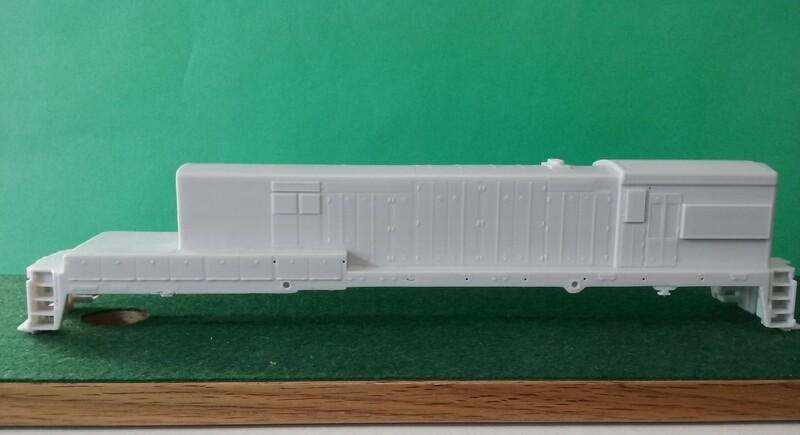 The weathering decals are purposfuly transparent and do not have a white underlayer. 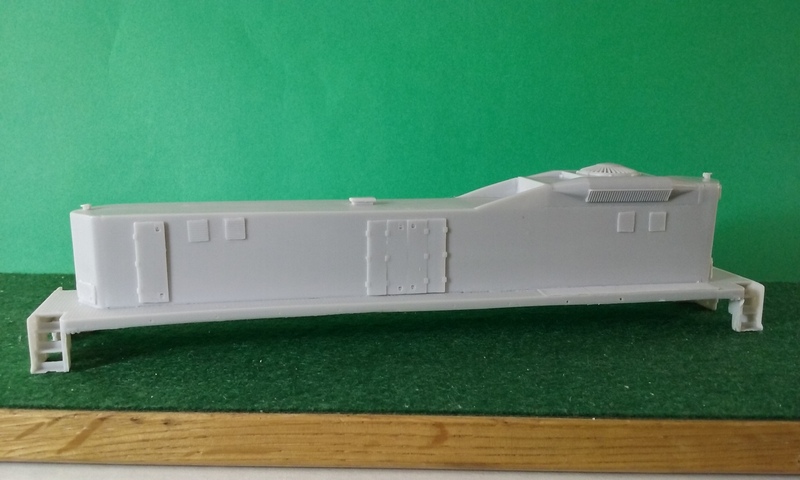 This allows the underlaying color of the car to be visible through the weathering. 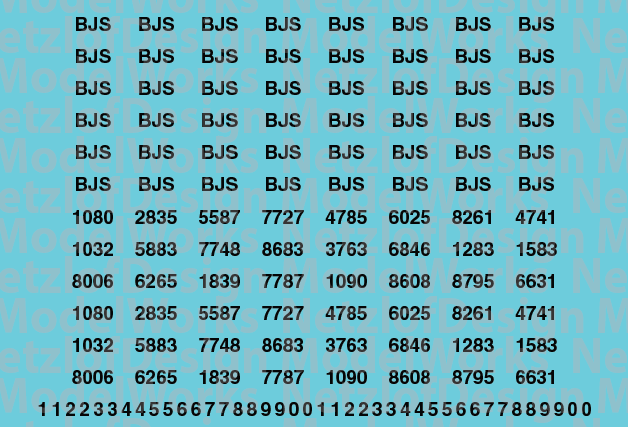 Each decal set contains two (2) decals each the length of a 50′ box car. 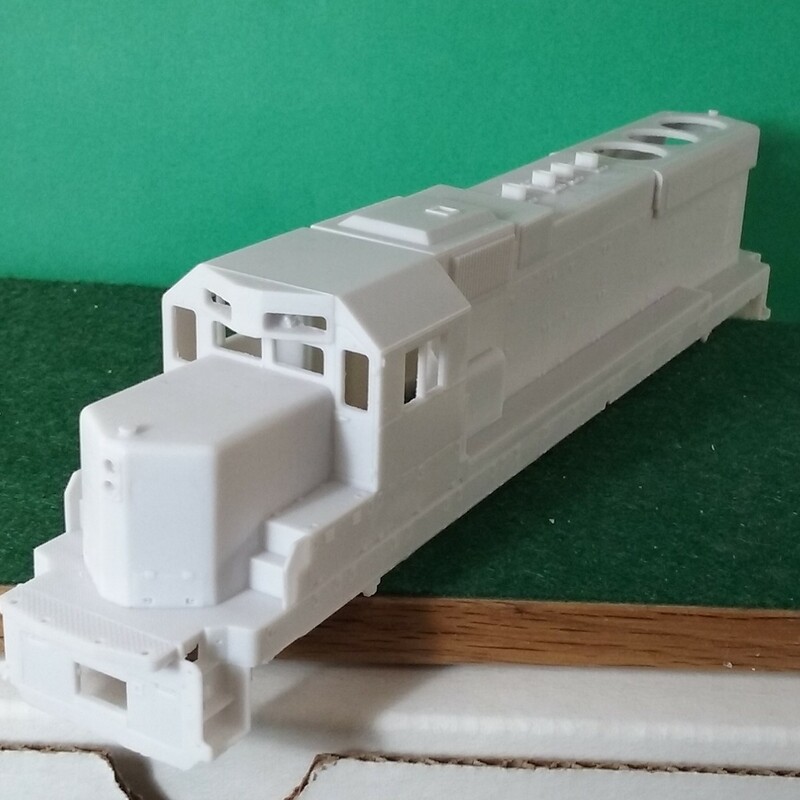 These sets will be available in HO and N Scales. 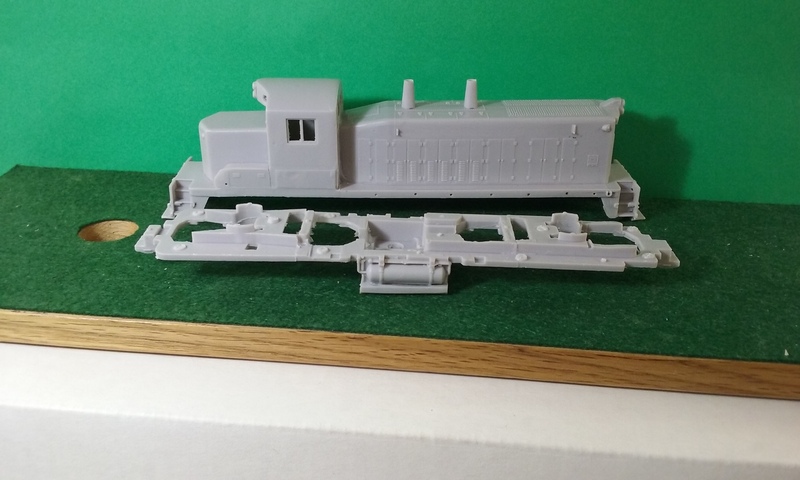 O and Z Scale are available as print on demand. Other scales are available by special request. 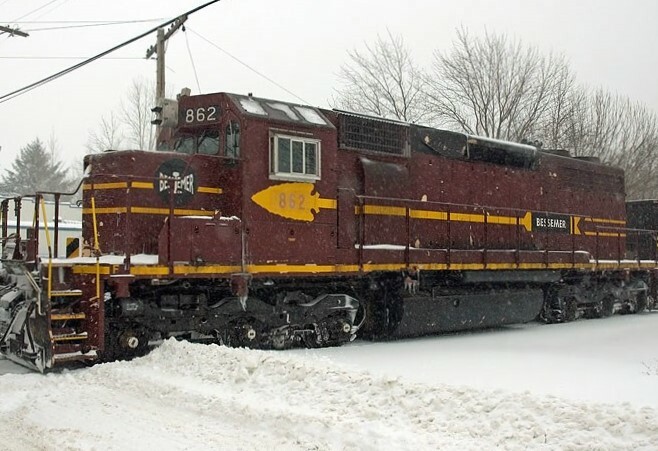 NetzlofDesign and Model works is releasing North Shore ex NS GP38 Locomotives Decal Set. 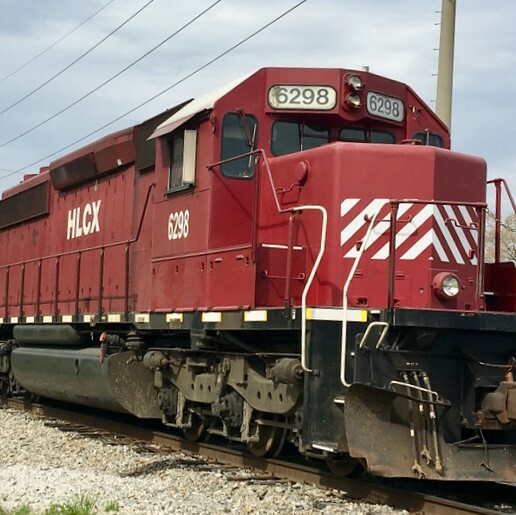 Purchasing several high hood GP38s at auction, the North Shore family of railroads has wasted no time in applying their corporate markings to these new units. This decal set includes logos, lettering, and numbers to model one of the patched units. 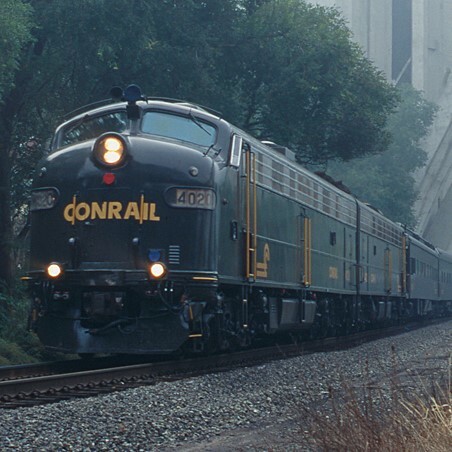 NetzlofDesign and Model Works is releasing Norfolk Southern AC44C6CF 8520 & 8521 Locomotive Decal set. 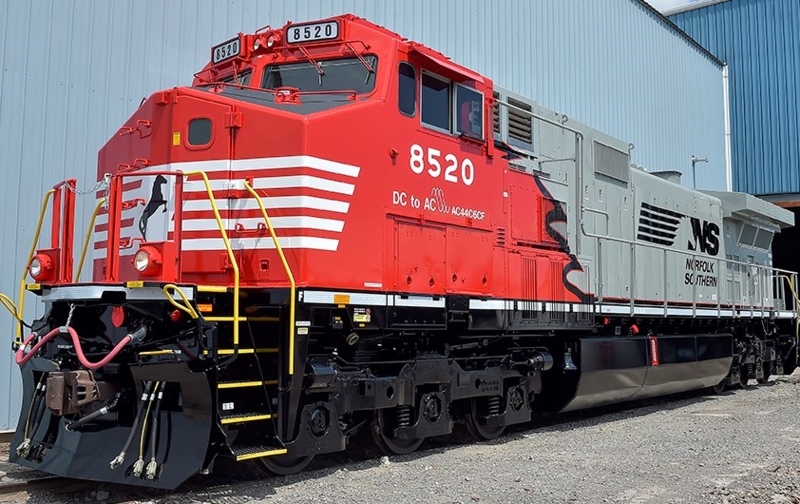 Norfolk Southern released their most recent DC to AC conversion locomotive, the AC44C6CF, in July of 2018 with the first two unit examples sporting an attractive Red, Black, and Gray paint scheme. 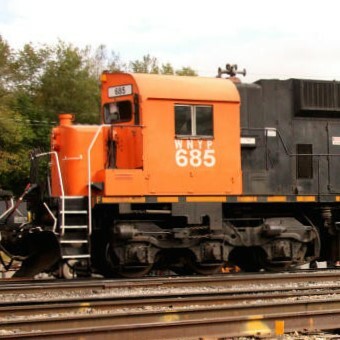 This decal set includes striping, lettering, and numbers to model one of these unique locomotives. 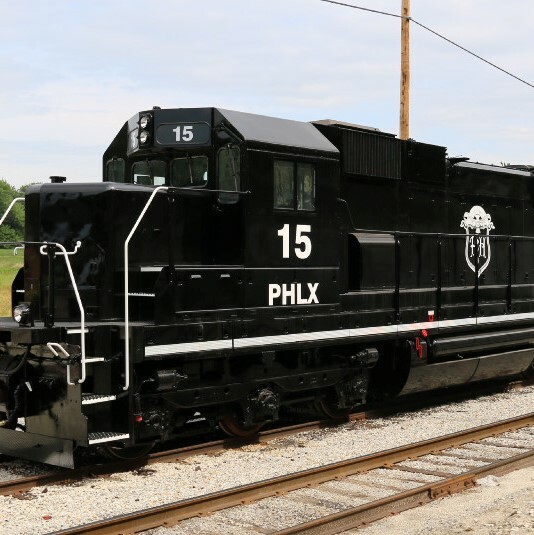 NetzlofDesign and Model works is releasing US Steel Mon Valley Works Locomotive Decals. 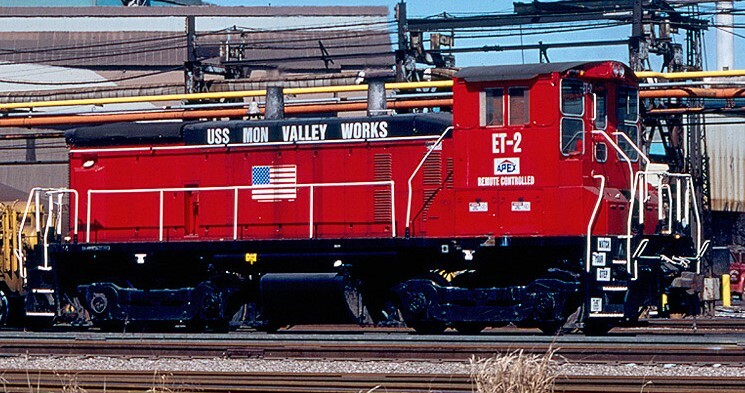 This set includes Logos, Flags, Lettering, and Numbers to model one US Steel Mon Valley Works switcher. 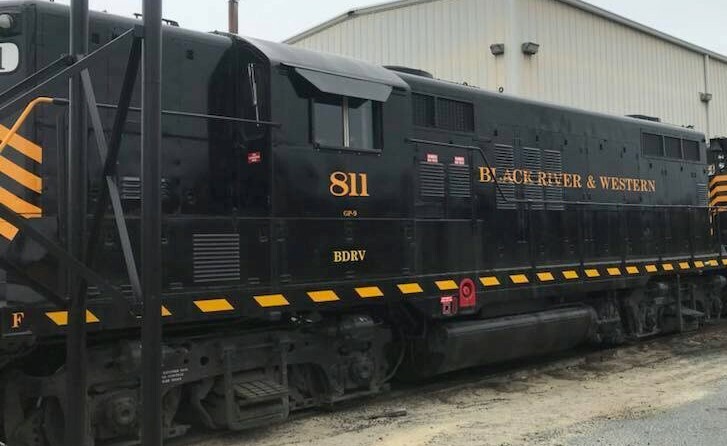 NetzlofDesign and Model works is releasing Black River Western GP9 #811 Decal Set. 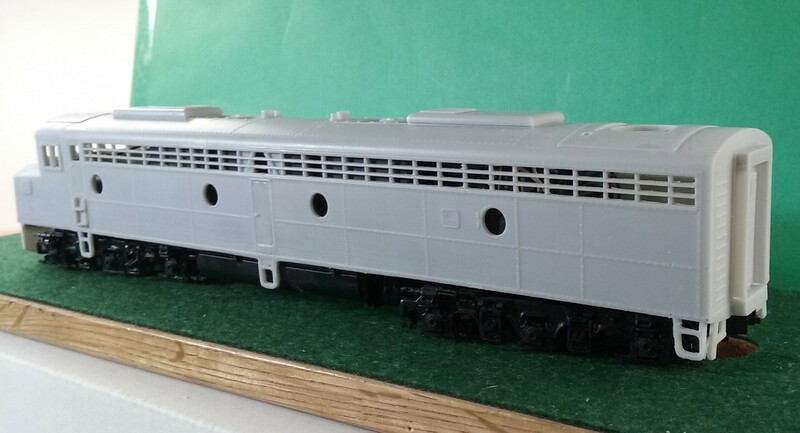 This set includes stripes, lettering, and numbers to model Black River & Western’s ex-Winchester Western GP9 #811. 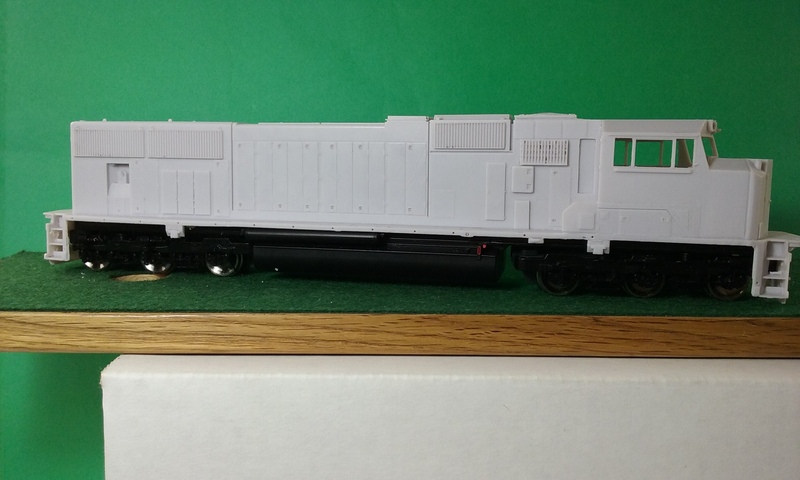 NetzlofDesign and Model works is releasing Paducah & Louisville SD70MAC Decals. 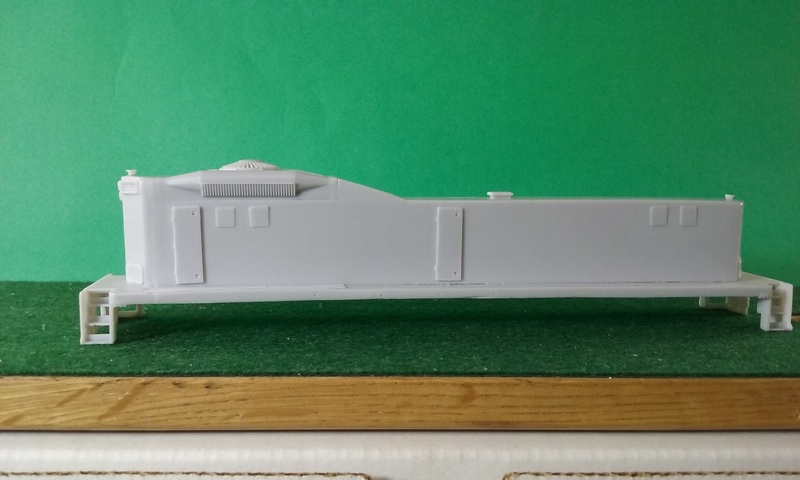 Set includes Stripes, Numbers, and Logos to model one PAL SD70MAC locomotive. 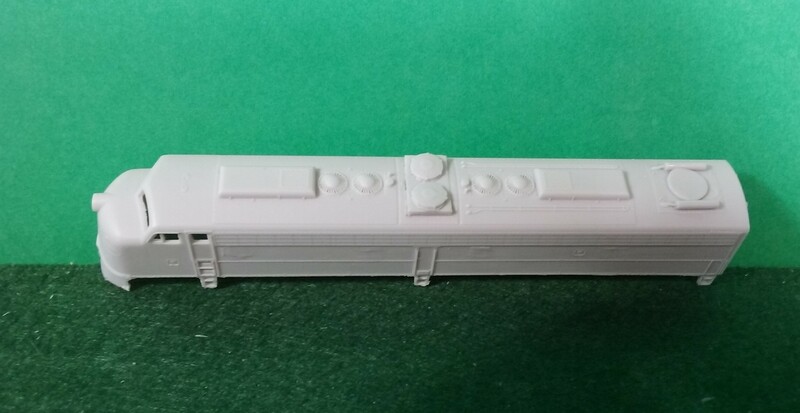 NetzlofDesign and Model works is releasing Evansville Western SD70MAC Decals. 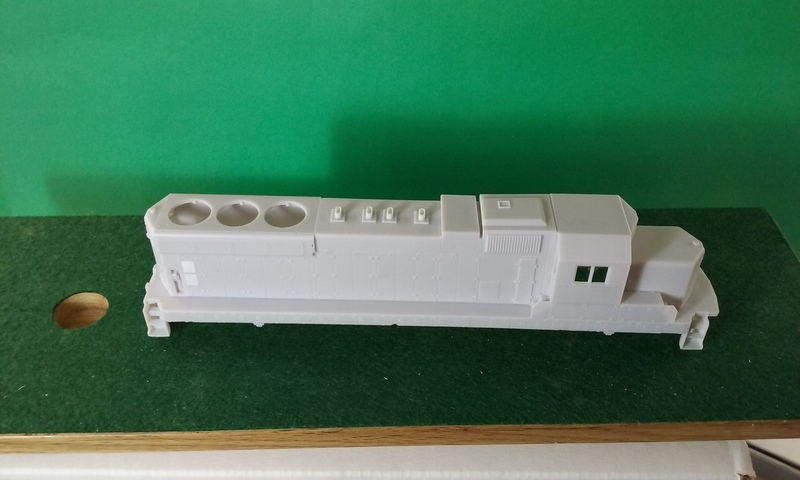 Set includes Stripes, Numbers, and Logos to model one EVWR SD70MAC locomotive. 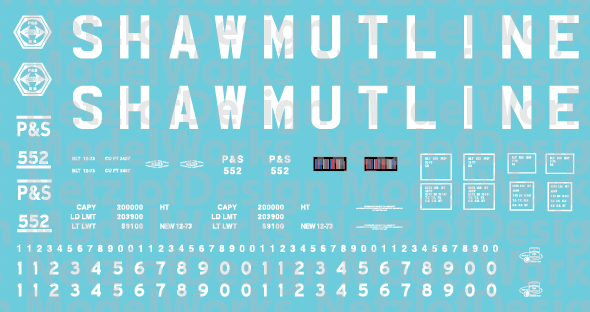 NetzlofDesign and Model works is releasing Pittsburg Shawmut 100t 3 Bay Hopper with Block Lettering. 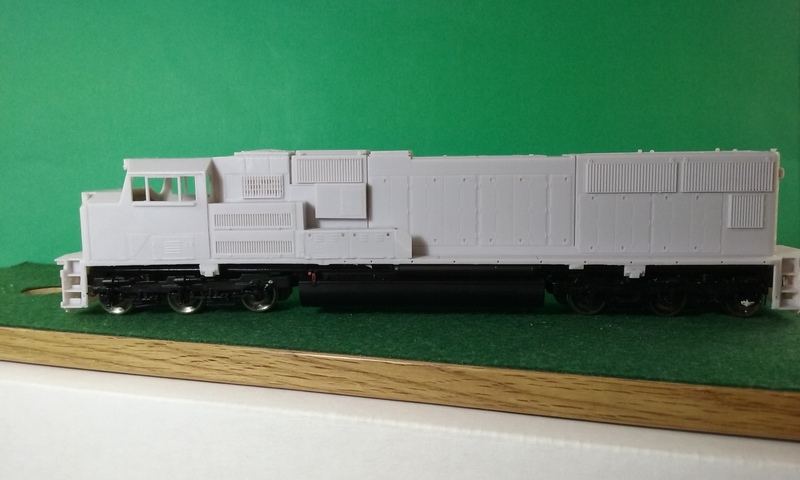 Set includes lettering, numbers, logos, and data to model one Pittsburg & Shawmut 100T 3 bay Coal Hopper with block lettering. 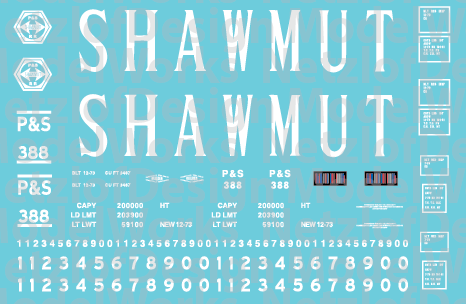 Set includes lettering, numbers, logos, and data to model one Pittsburg & Shawmut 100T 3 bay Coal Hopper with serif lettering. This decal set provides decals for one (1) . 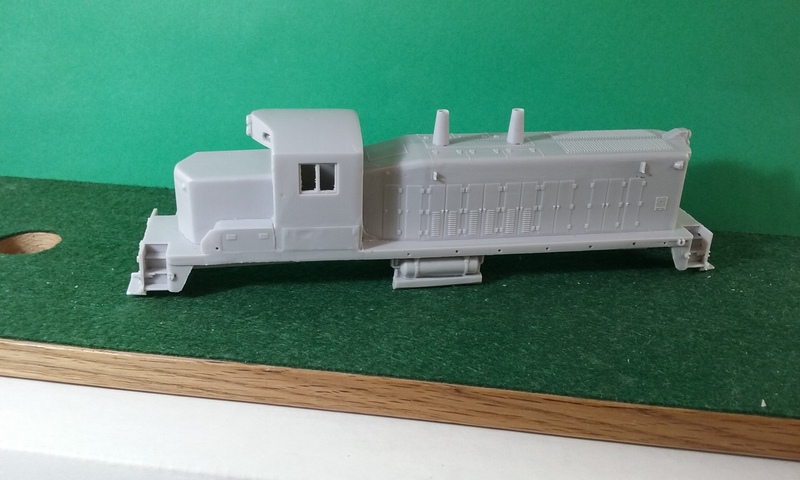 NetzlofDesign and Model works is releasing Wheeling & Lake Erie 100T 3 bay Hopper Decals. 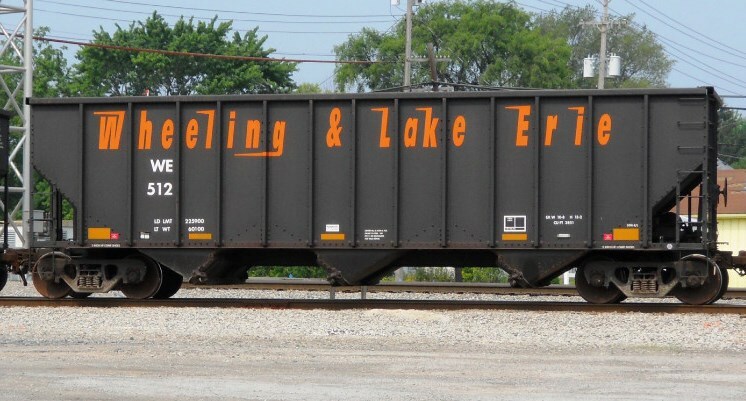 Set includes lettering, numbers, labels, and data to model one Wheeling & Lake Erie 100T 3 bay hopper. 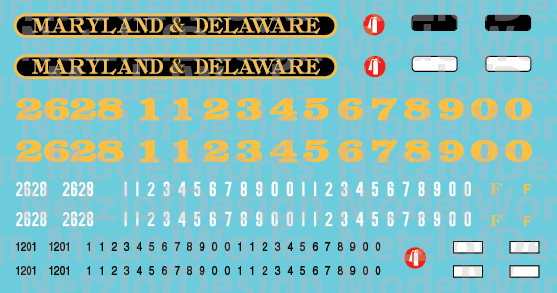 NetzlofDesign and Model works is releasing Maryland & Delaware Locomotive Decals. 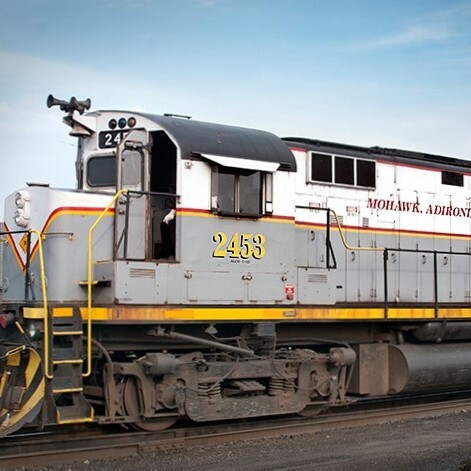 Set includes Lettering, Numbers, and emblems to model one Maryland & Delaware locomotive. 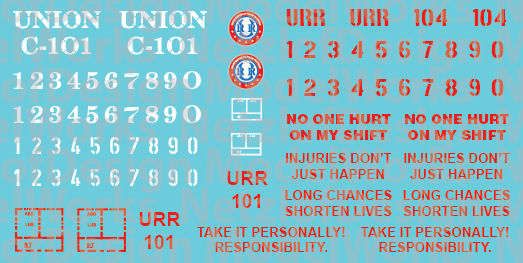 NetzlofDesign and Model works is releasing Union Railroad Caboose Decals. 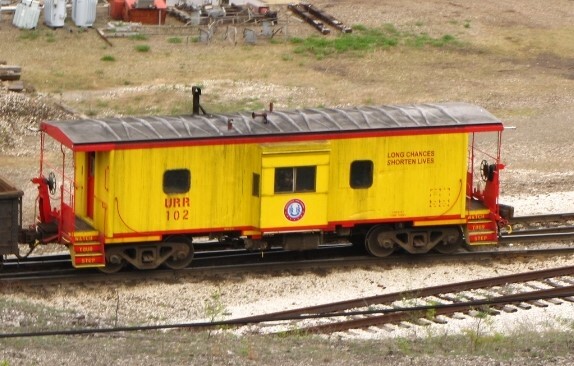 Set includes logos, lettering, and numbers to model one Union Railroad Caboose. 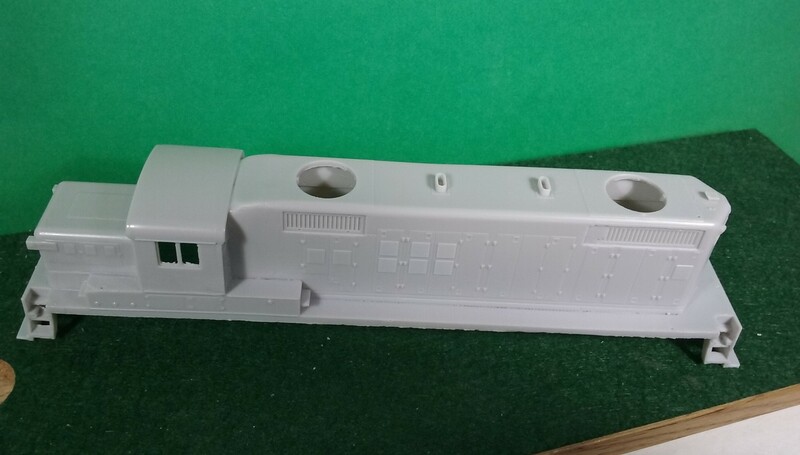 Set includes lettering to match old red or new yellow cabooses. 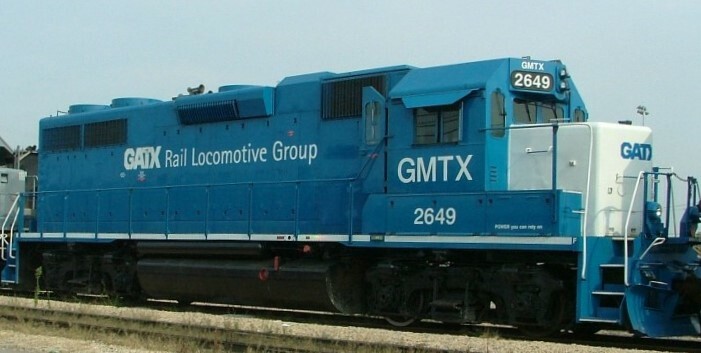 Set includes Logos, Lettering, Numbers, and Slogans to model one Union Railroad Switcher in their Blue, Green, or Yellow and Red modern paint schemes. 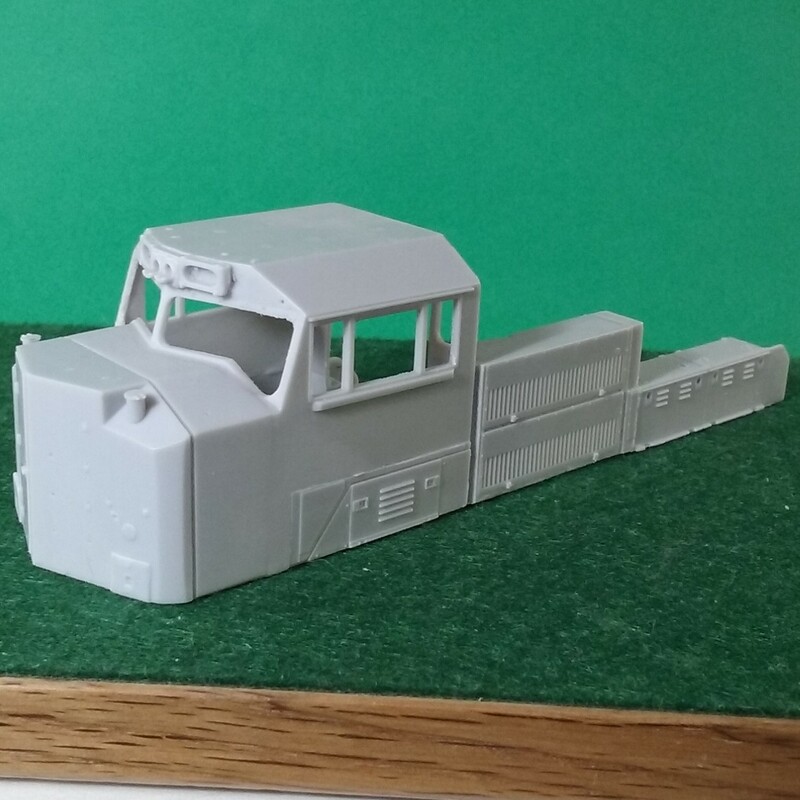 NetzlofDesign and Model works is releasing Elgin Joliet & Eastern Yellow Stripes Addon Decal Set. 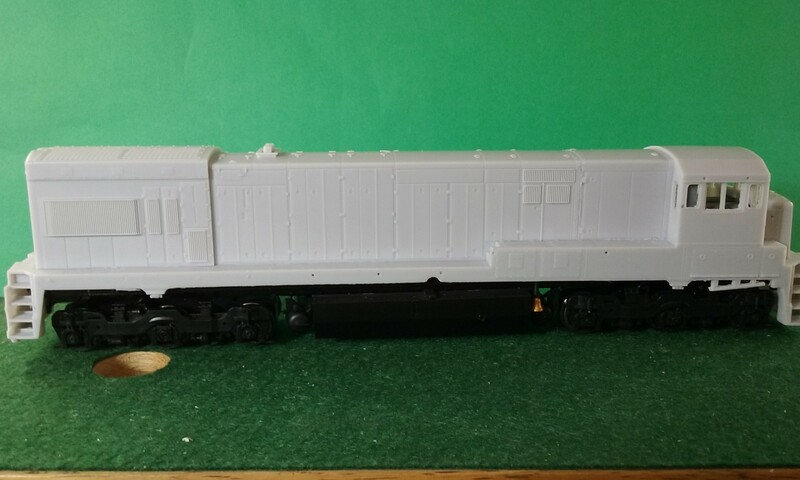 This add-on set works with our EJ&E EMD Hood Units set to provide properly spaced yellow sill striping as added to some units. 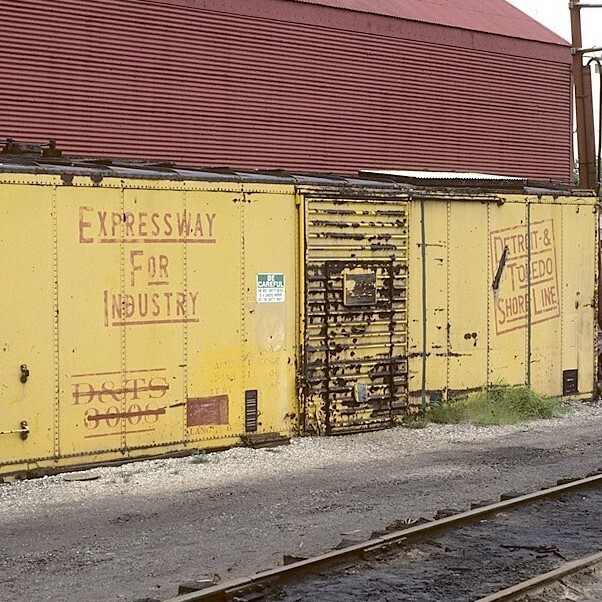 NetzlofDesign and Model works is releasing Elgin, Joliet & Eastern Faded Logo Decals. 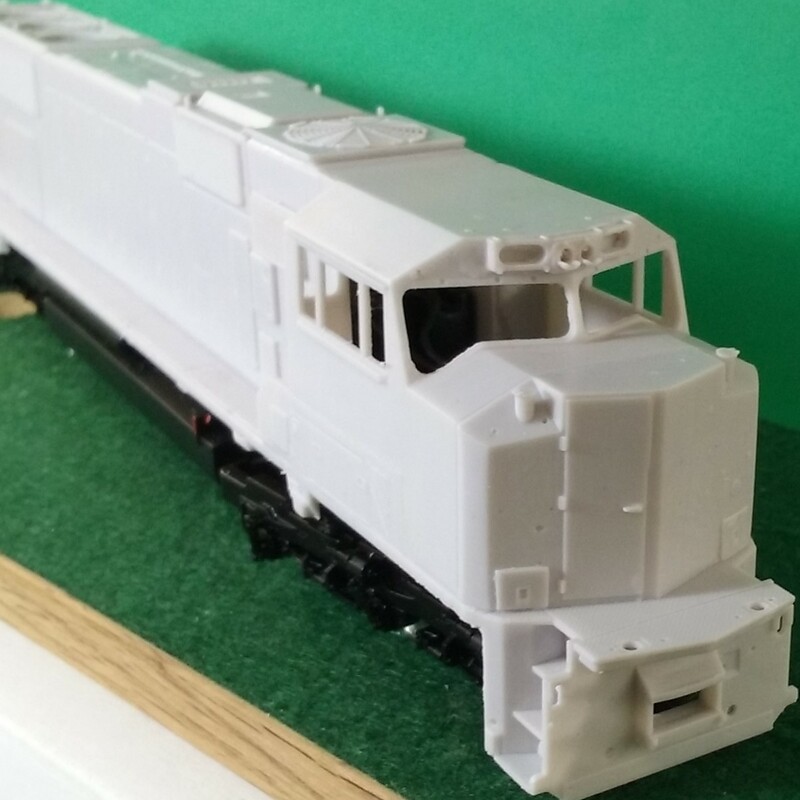 This AddOn set includes sun bleached and faded logos to work with our EJE EMD Hood Units set for a weathered appearance. 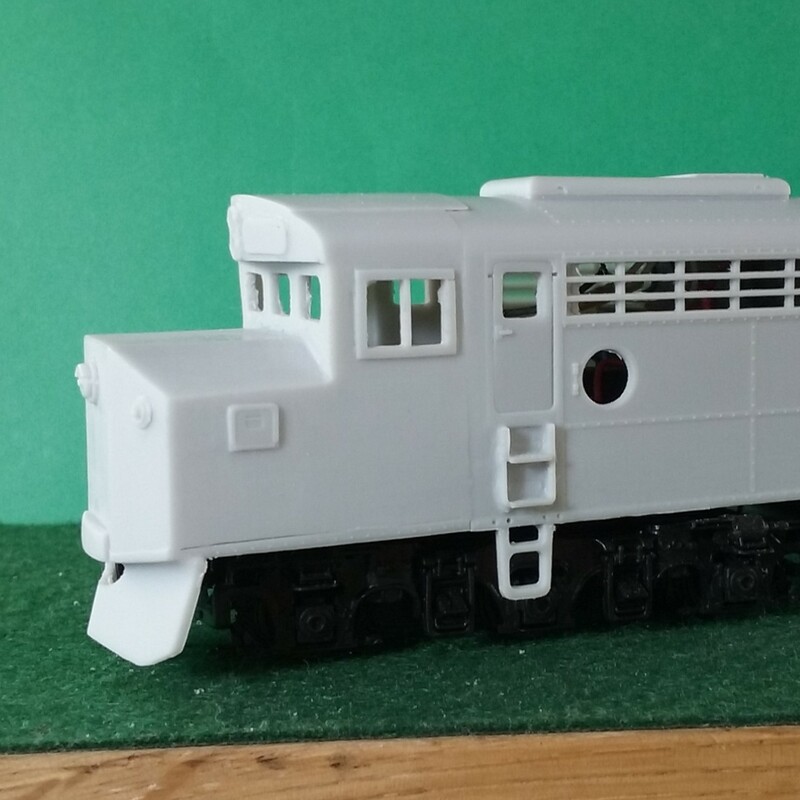 NetzlofDesign and Model works is releasing Elgin, Joliet and Eastern Locomotive Decals. 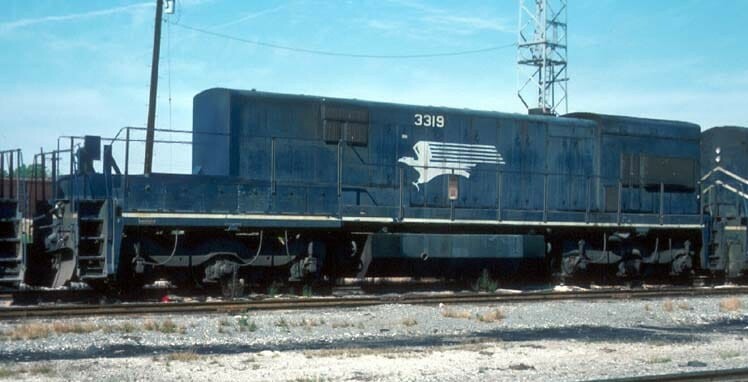 Includes Logos, Lettering, numbers, and stripes to model one Elgin Joliet & Eastern locomotive in their two most recent paint schemes. NetzlofDesign and Model works is releasing Akron Canton & Youngstown Yellow/Black Locomotive decals . 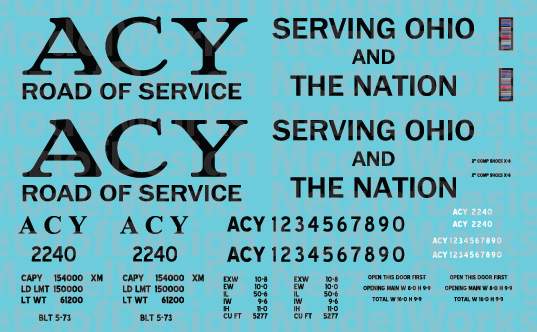 Set includes lettering, and numbers to model one of ACY’s Blue and Yellow Scheme Locomotives. NetzlofDesign and Model works is releasing Akron Canton & Youngstown Blue/Yellow Locomotive decals. 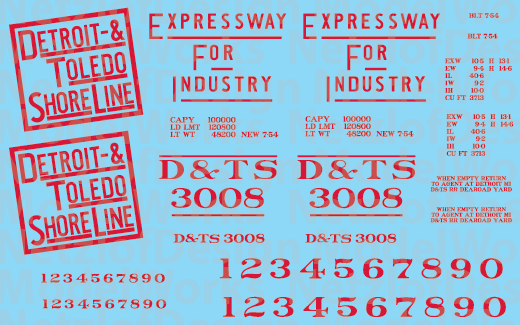 NetzlofDesign and Model works is releasing Norfolk Southern Scale Test Car Decal Set. 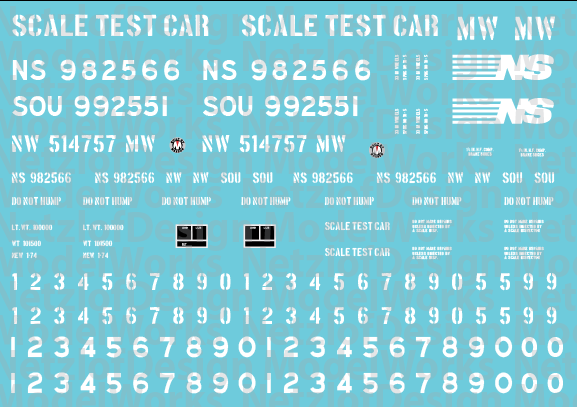 Set includes logos, lettering, numbers, and stencils to model one Maxson built Scale Test Car. 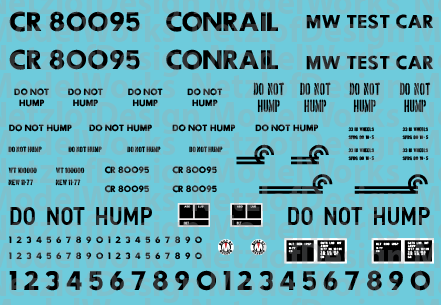 NetzlofDesign and Model works is releasing Conrail Scale Test Car Decal Set. 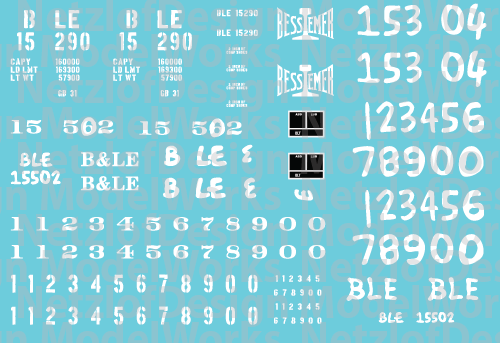 Set includes Lettering and logos to model one Bessemer gondola. Also includes hand sprayed lettering for mill service gondolas. 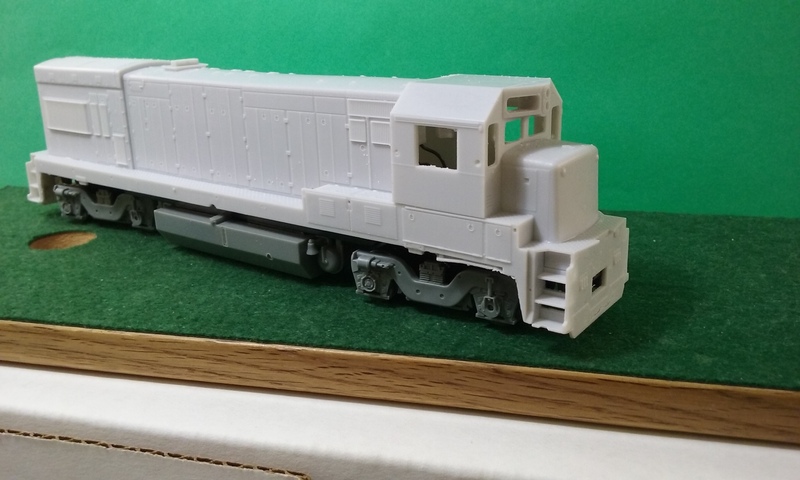 Puttman Car Works is releasing HO Scale – Conrail Scale Test Car. 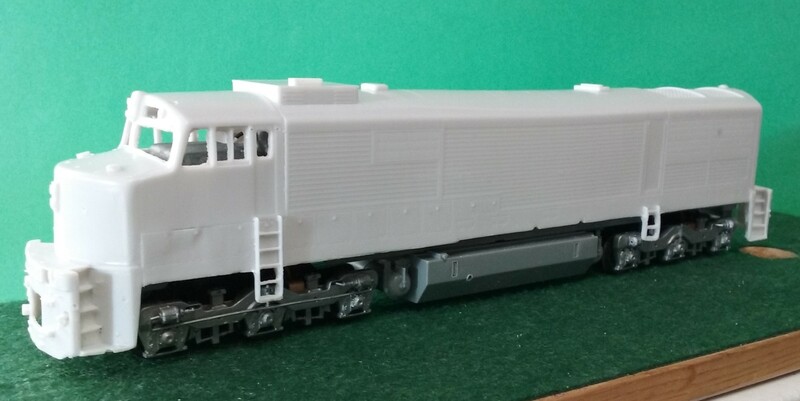 This is an undecorated HO Scale Polyurethane Conrail Scale Test Car. Details as shown are included. This kit does not include trucks or couplers. 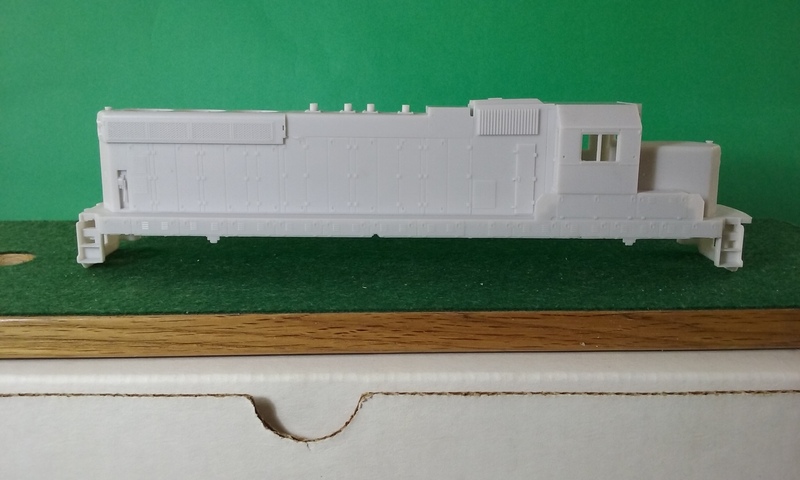 NetzlofDesign and Model works is releasing Ohio Central “Rails for Ohio” GP35 Decal Set (OHCR). 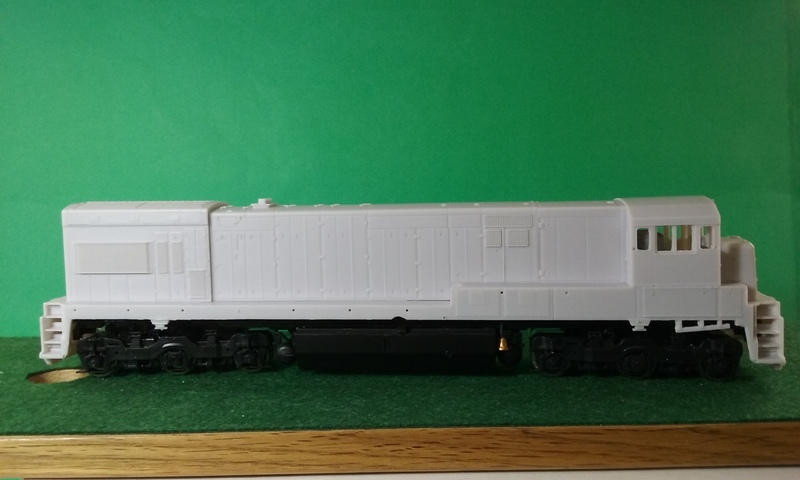 This set provides logos, lettering, and stripes to model one “Rails for Ohio” GP35.